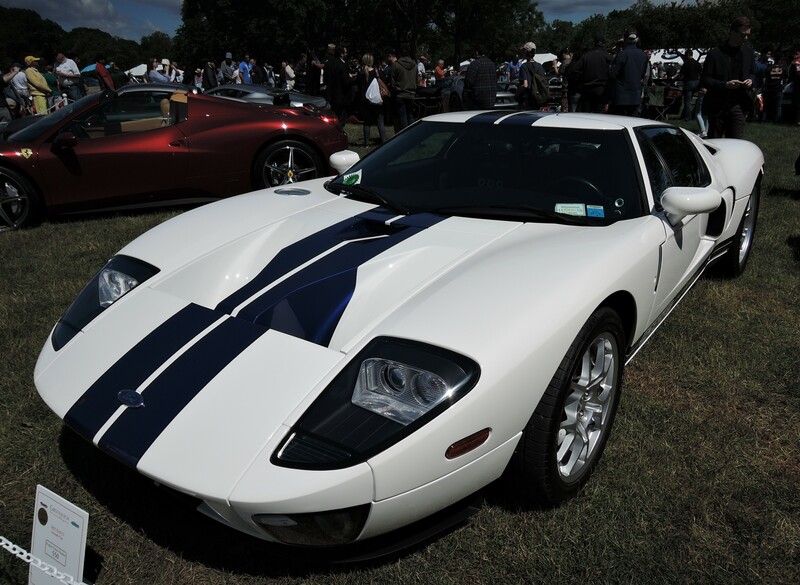 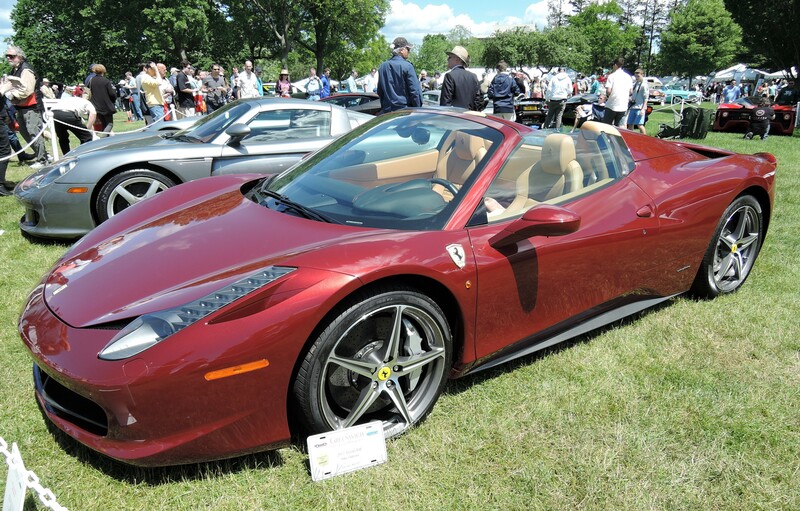 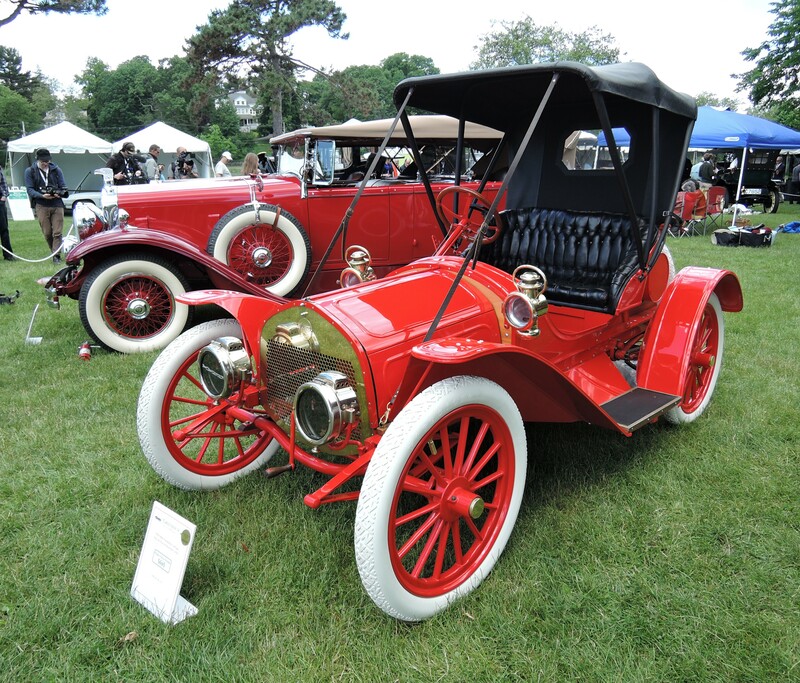 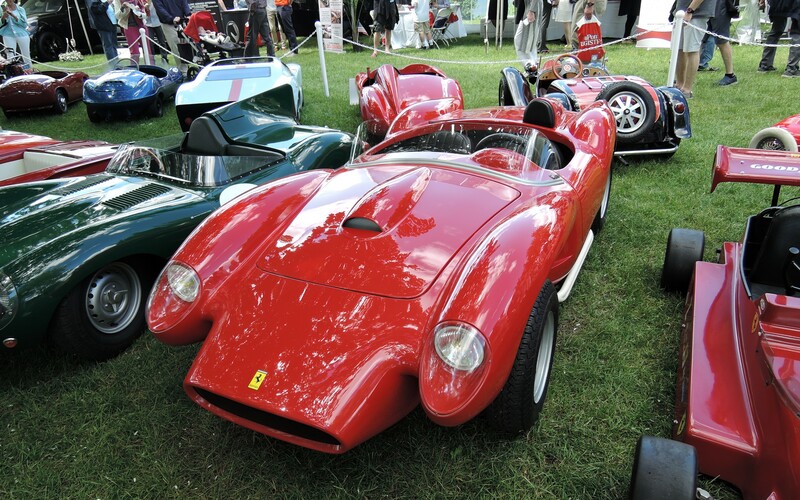 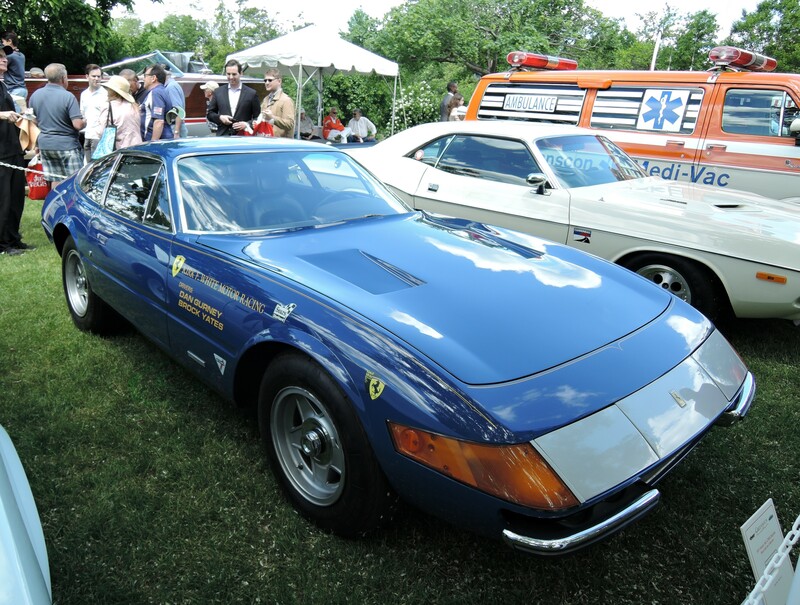 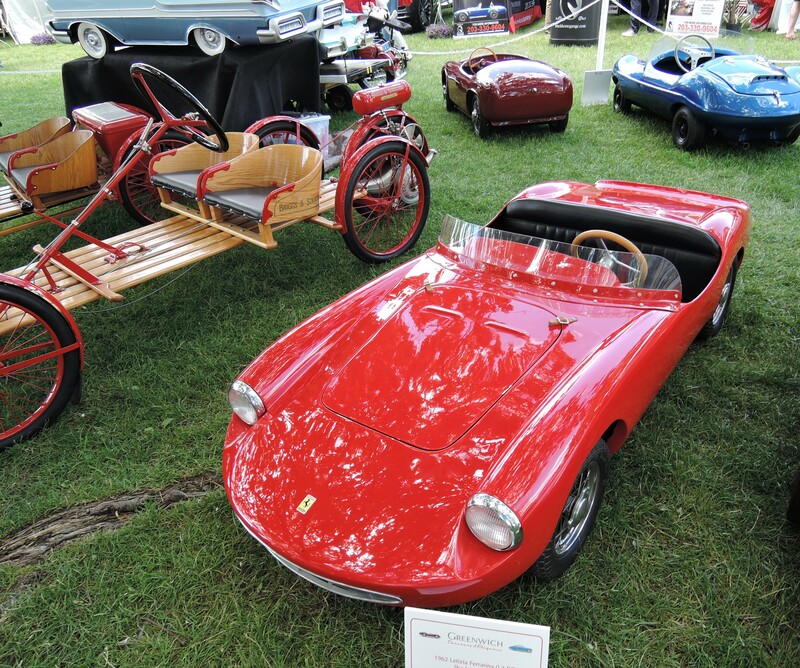 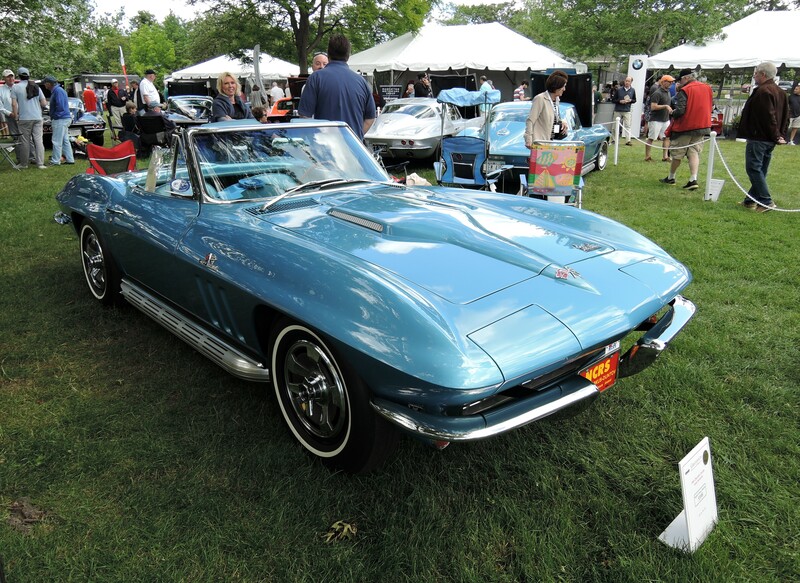 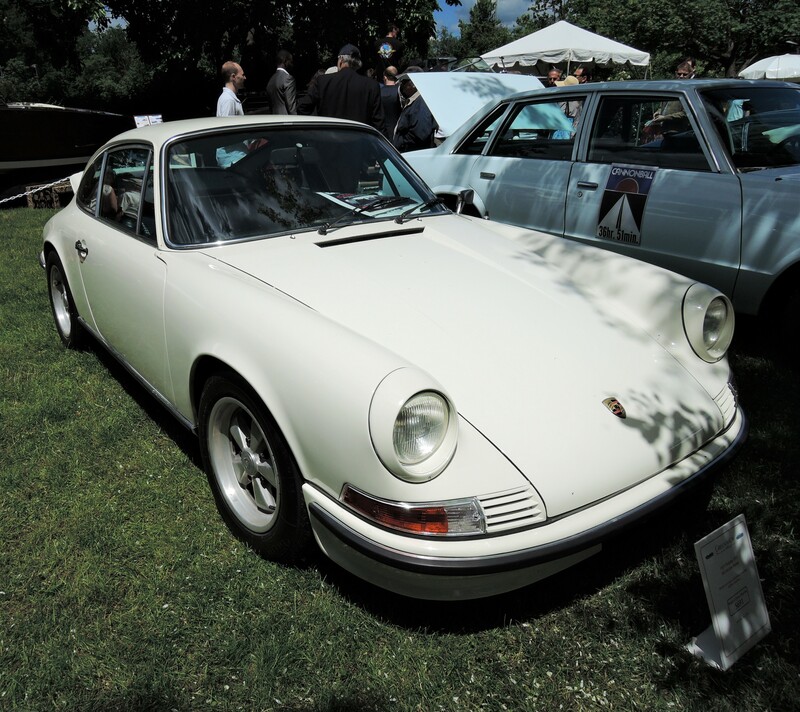 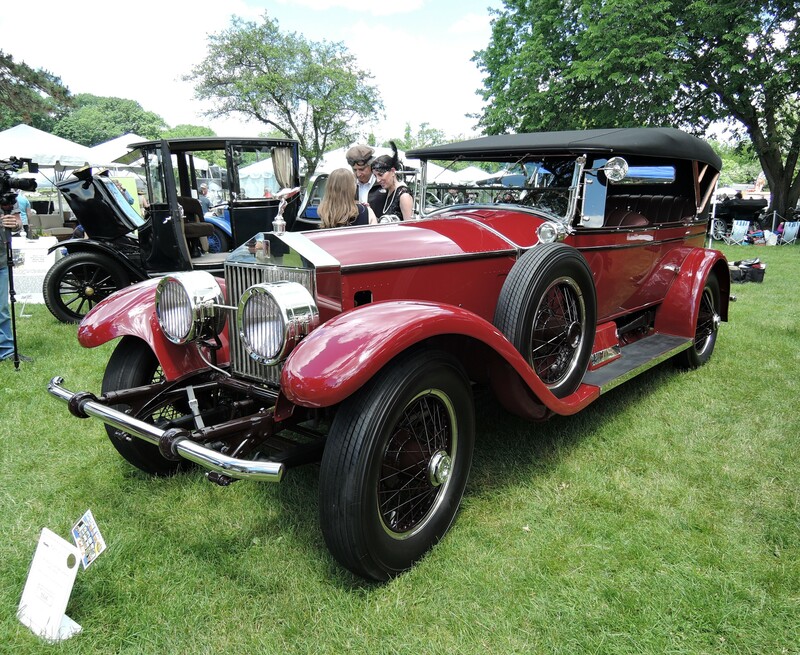 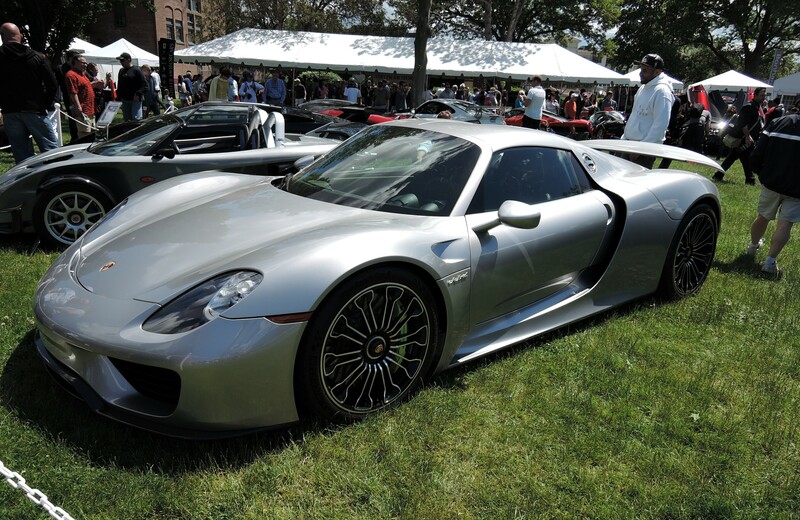 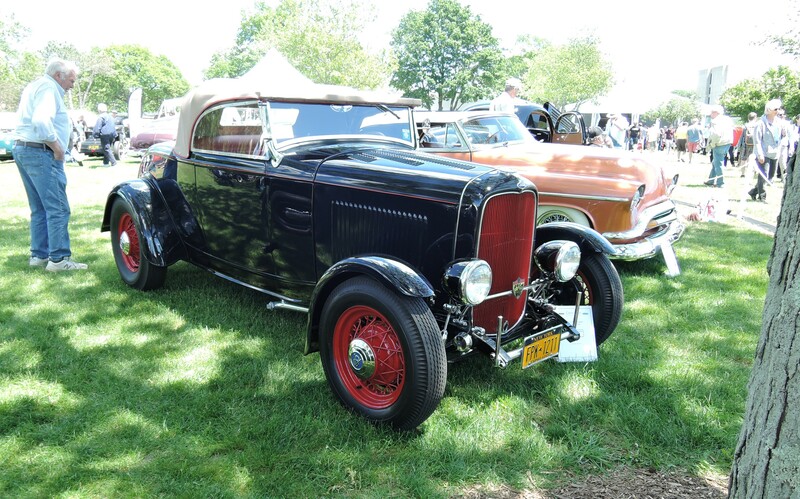 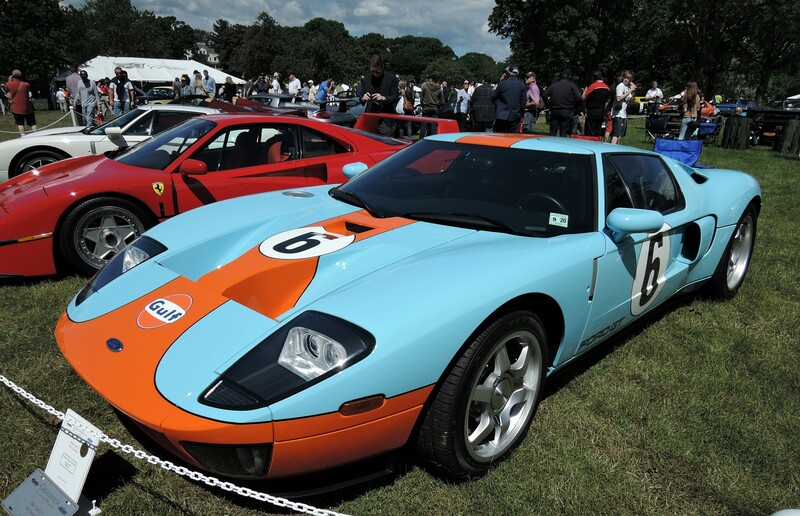 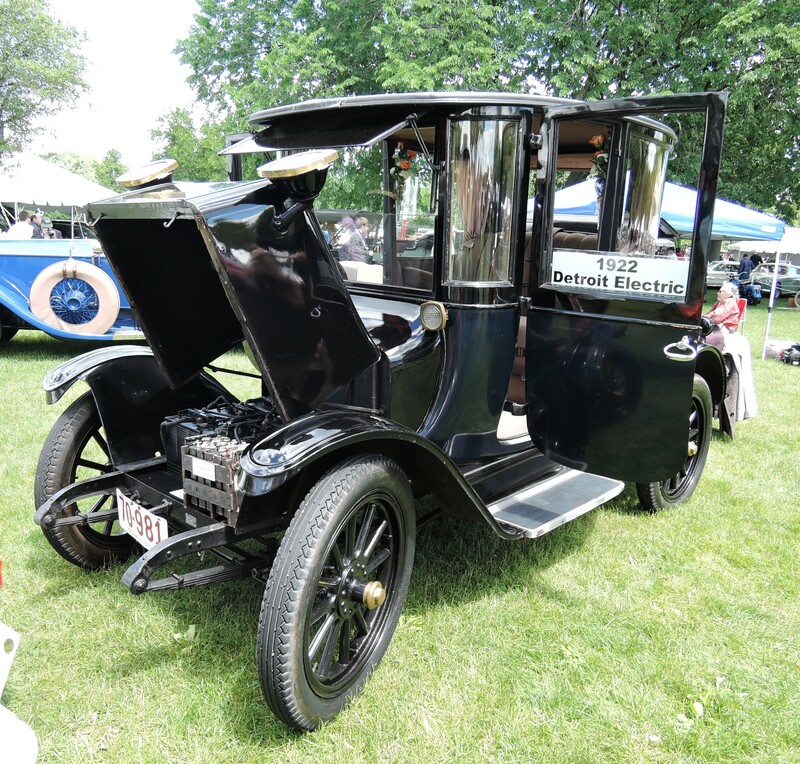 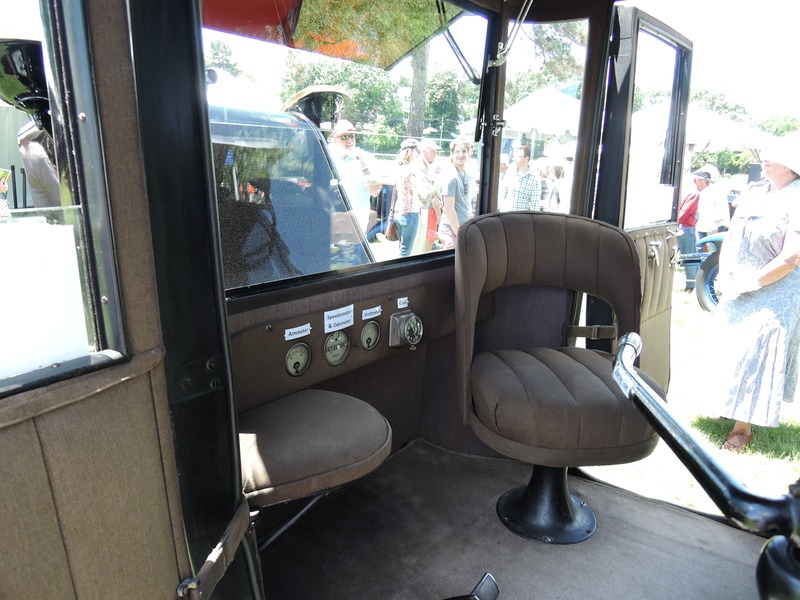 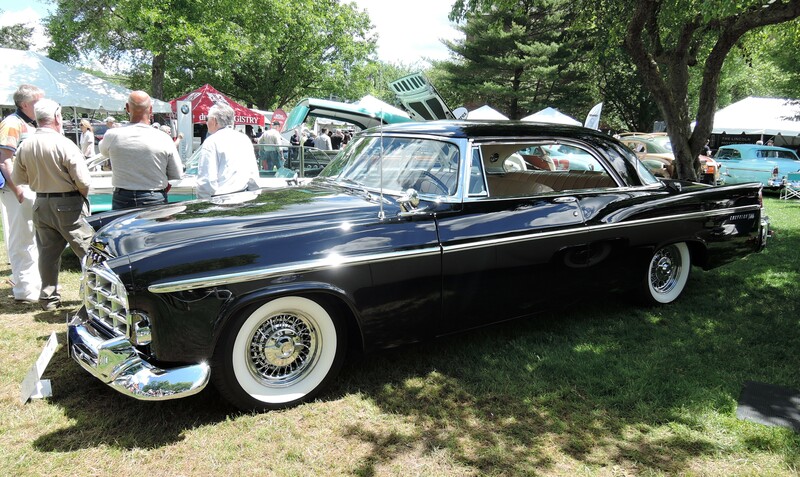 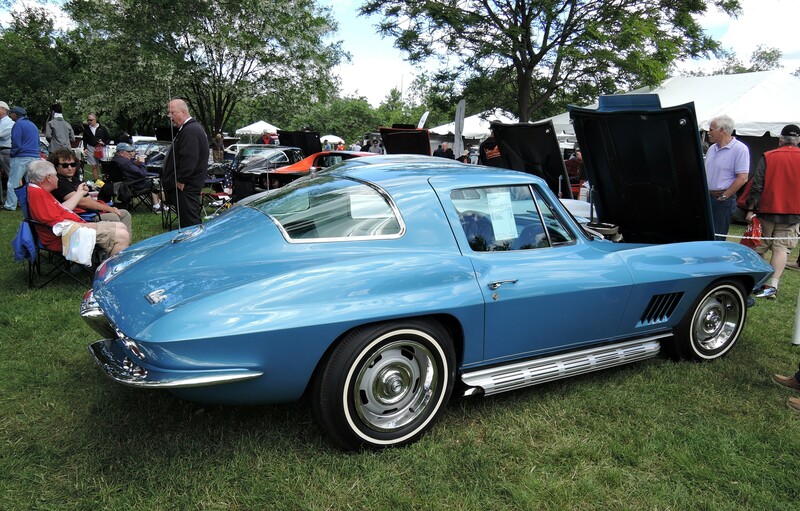 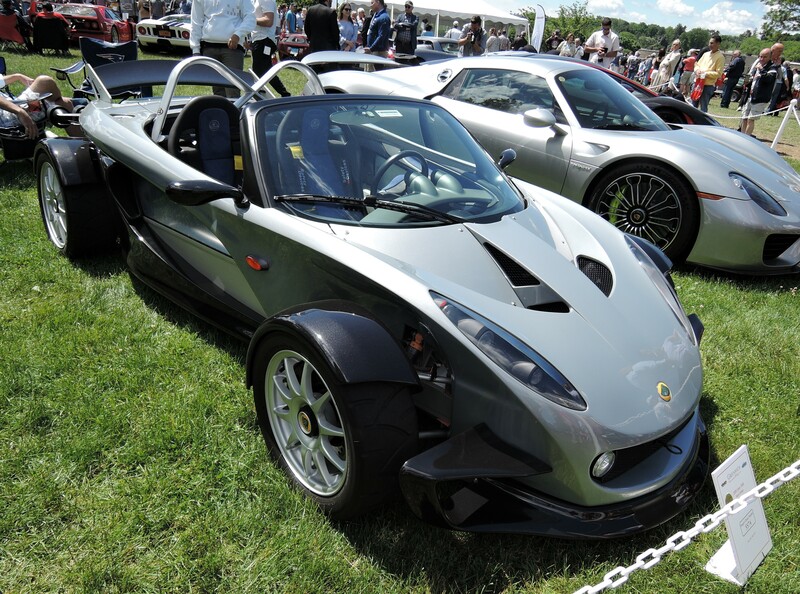 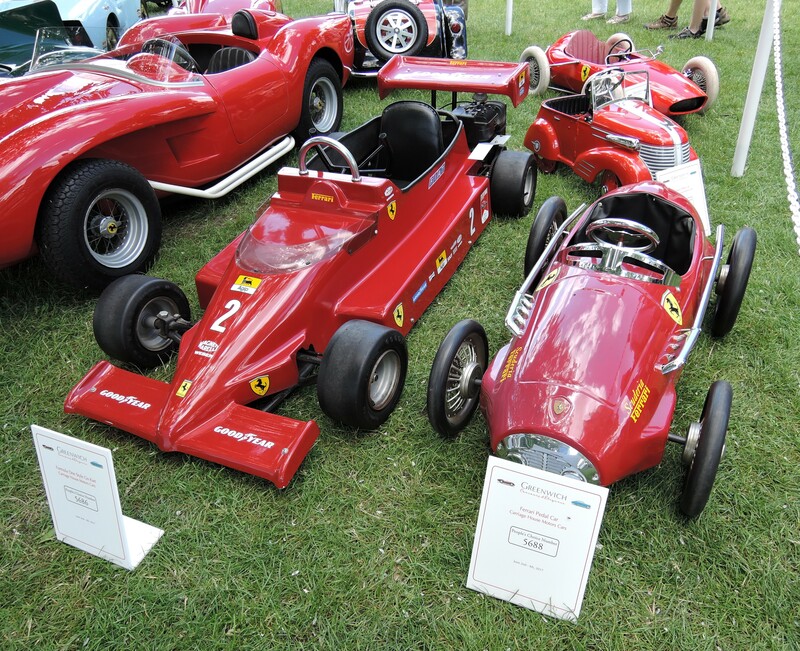 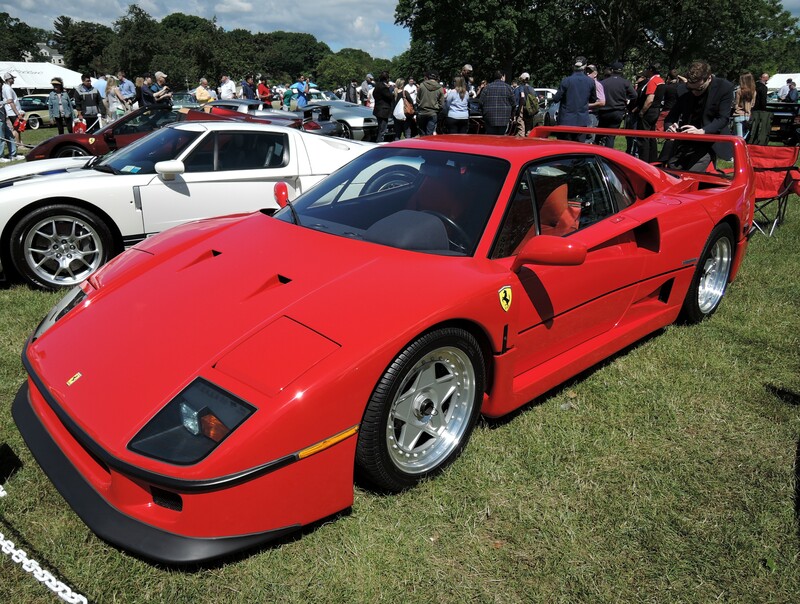 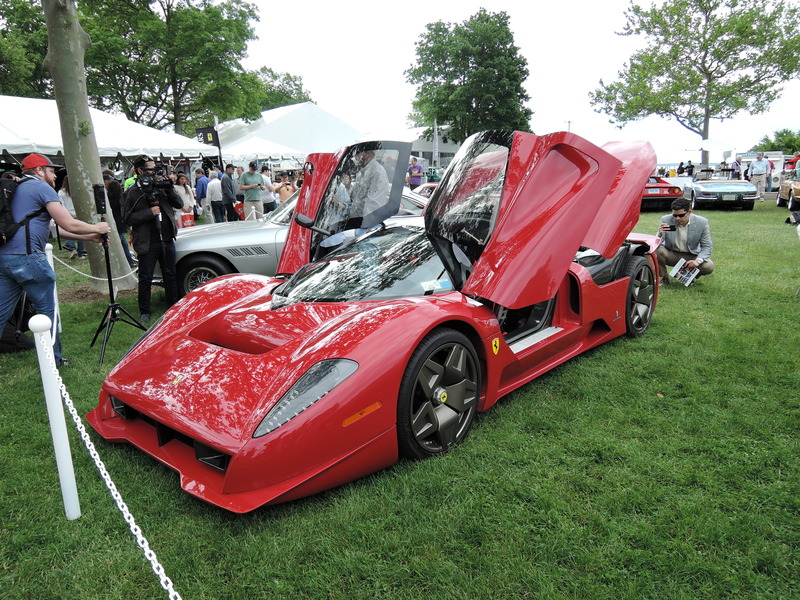 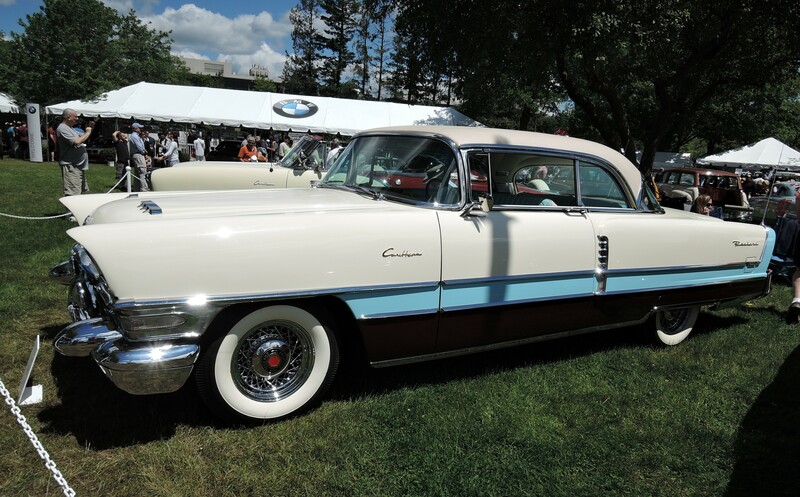 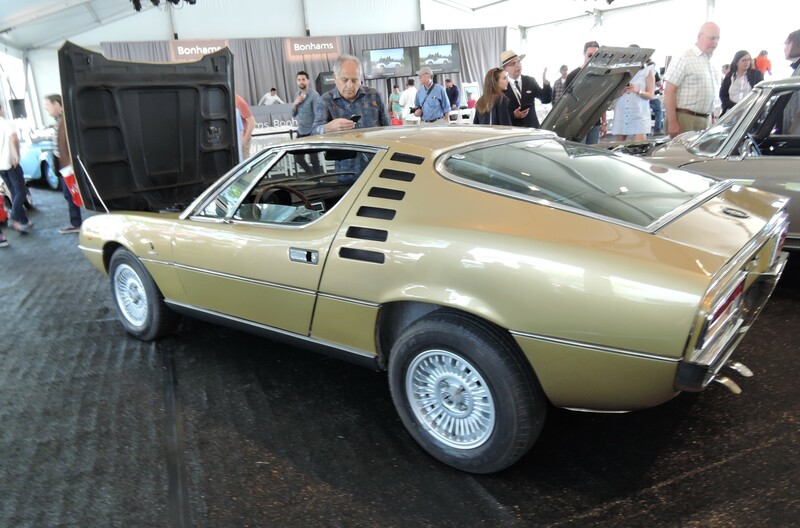 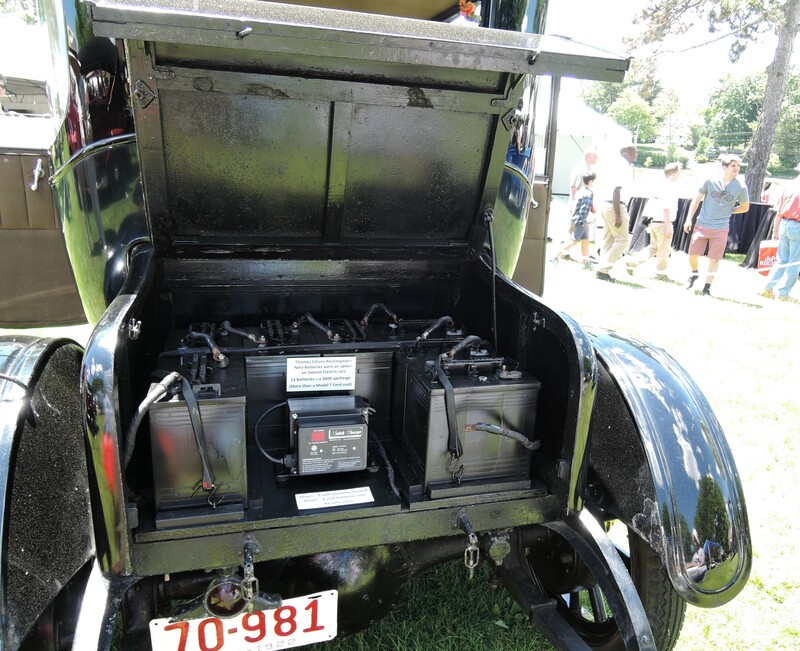 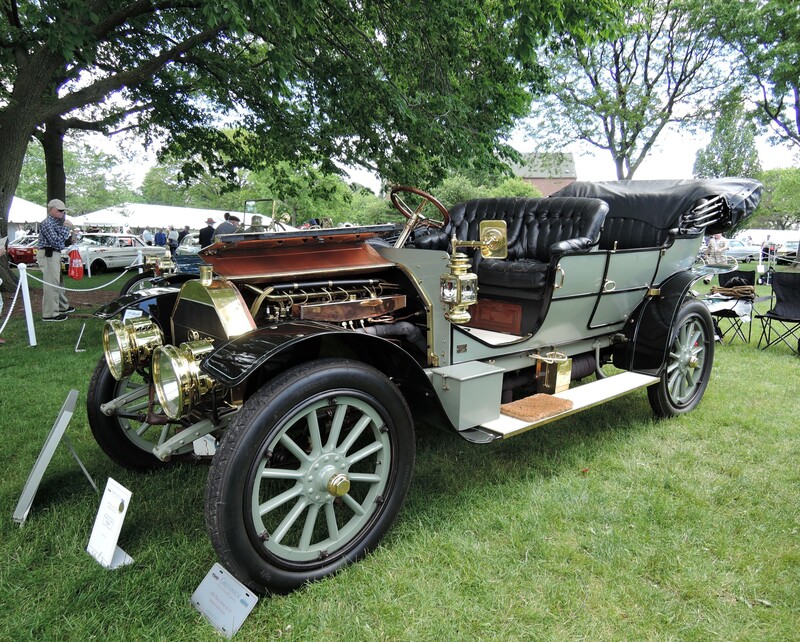 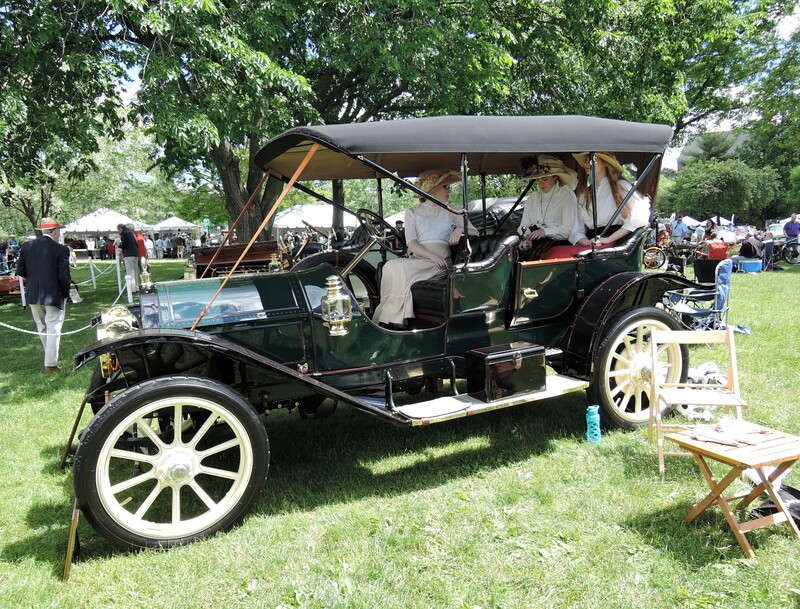 The 22nd annual Greenwich Concours d’Elegance was held on the first weekend in June at Roger Sherman Baldwin Park in Greenwich, CT. 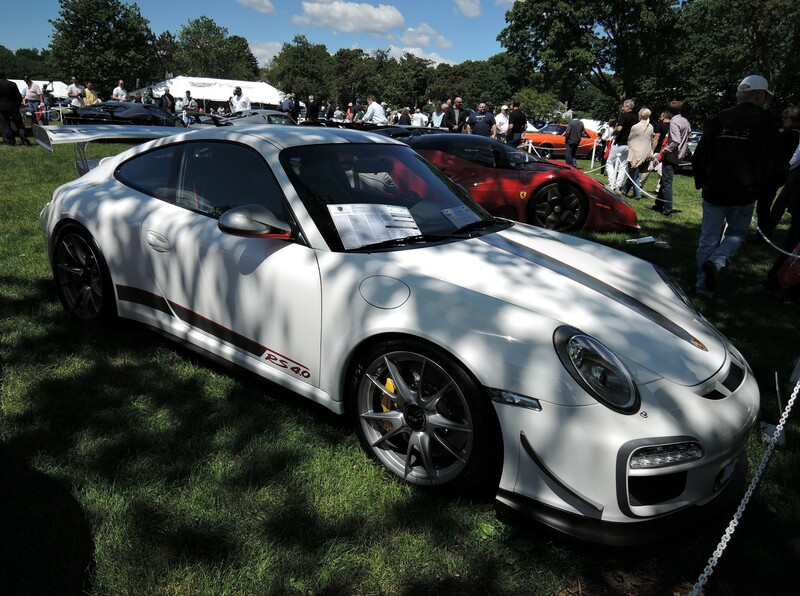 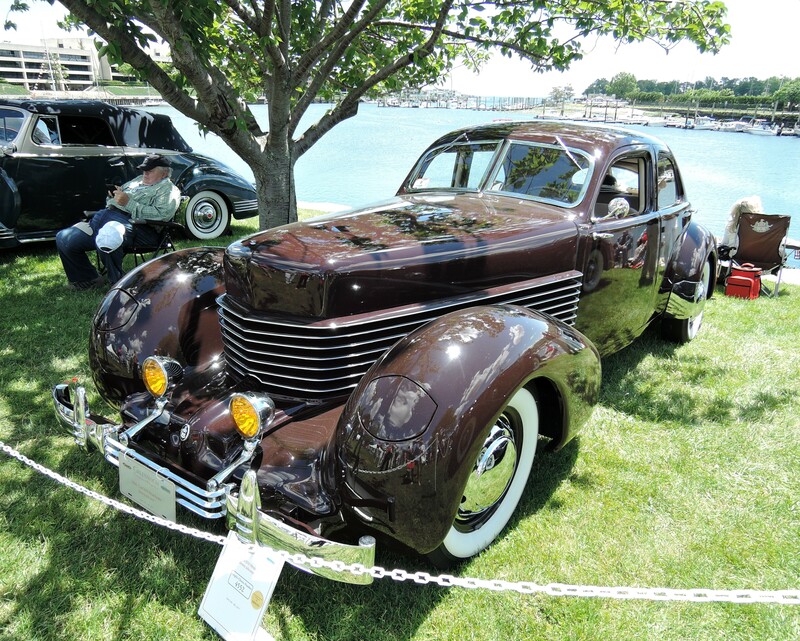 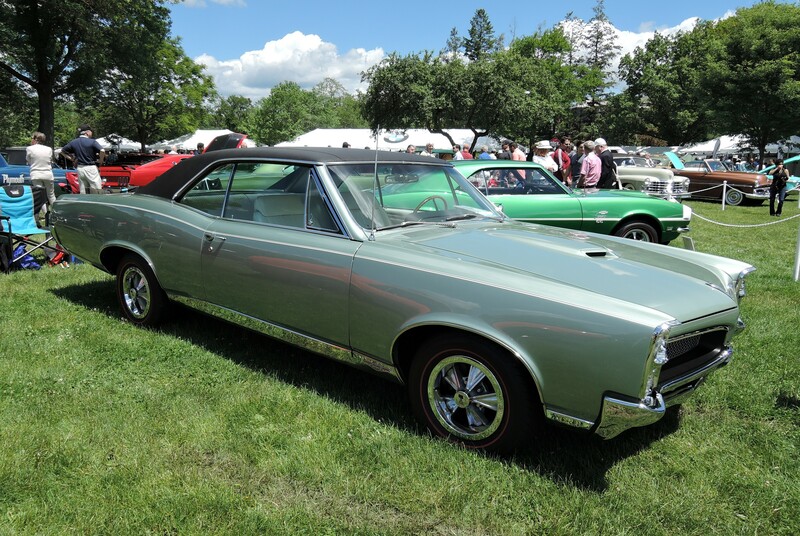 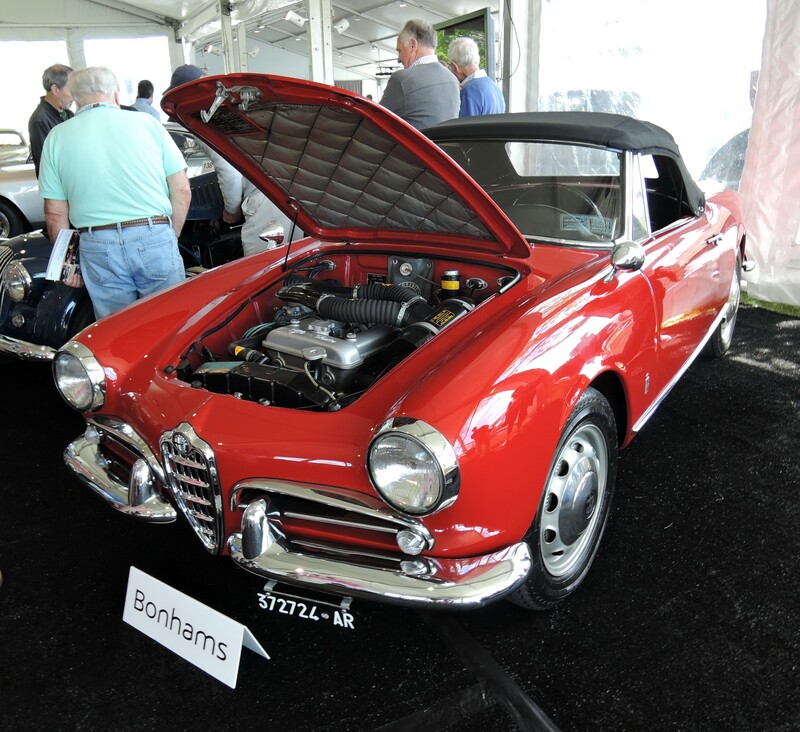 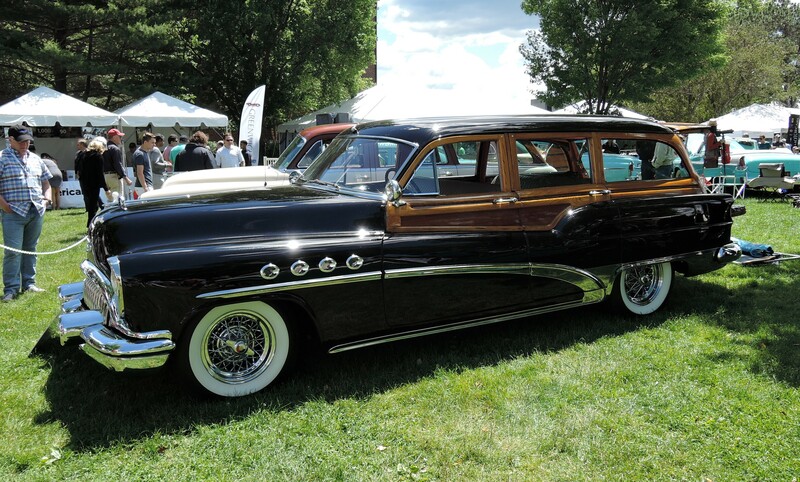 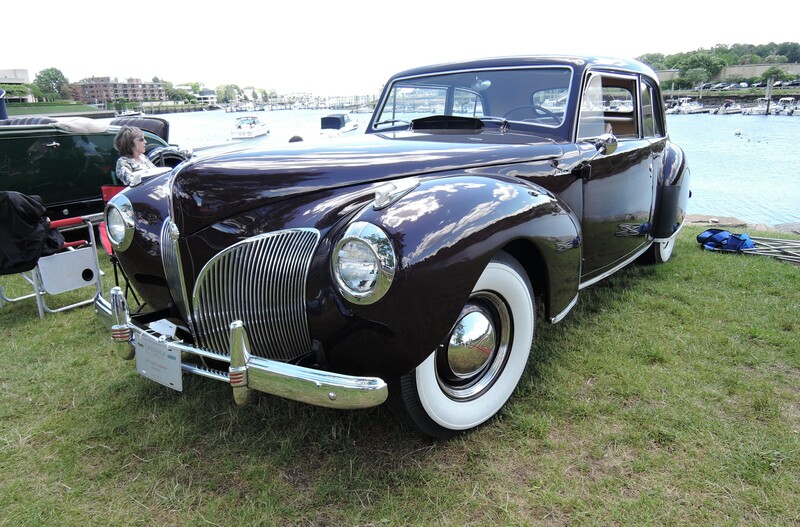 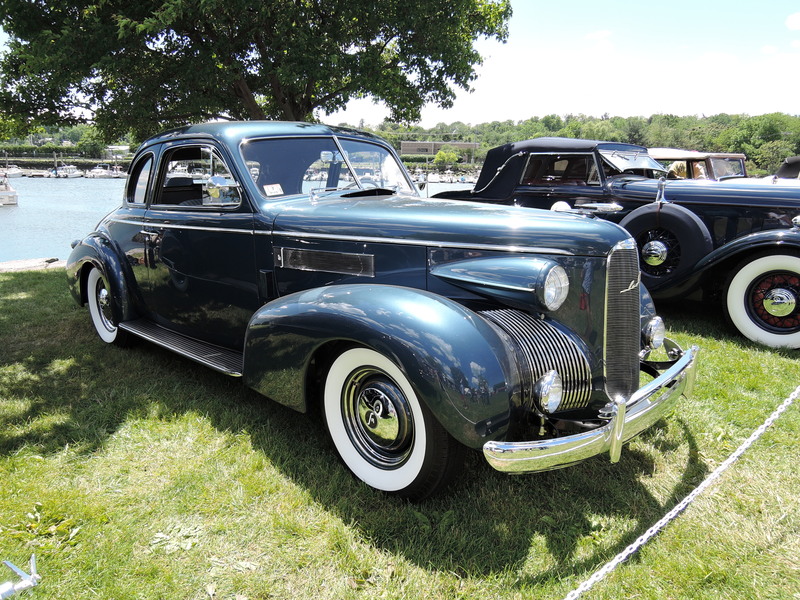 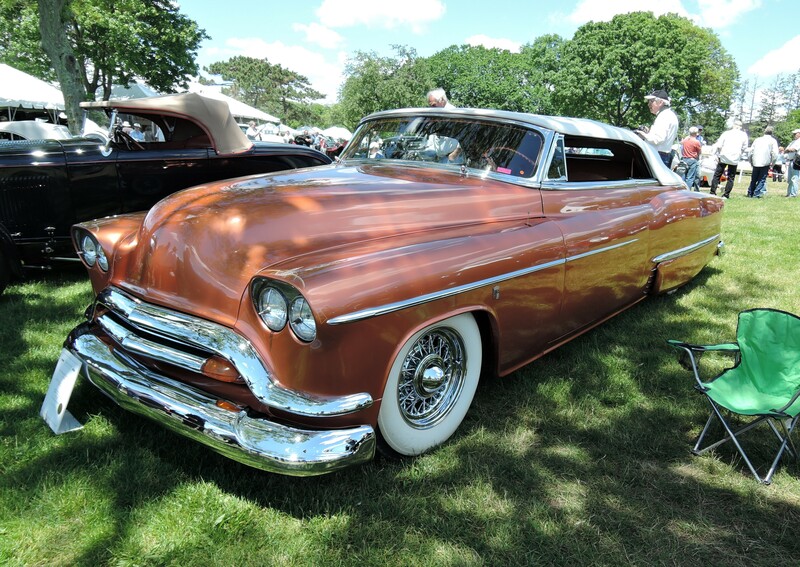 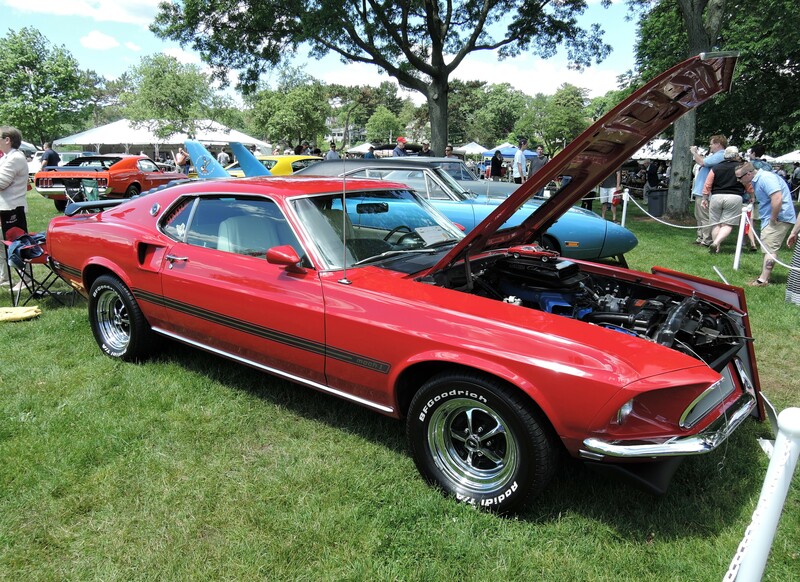 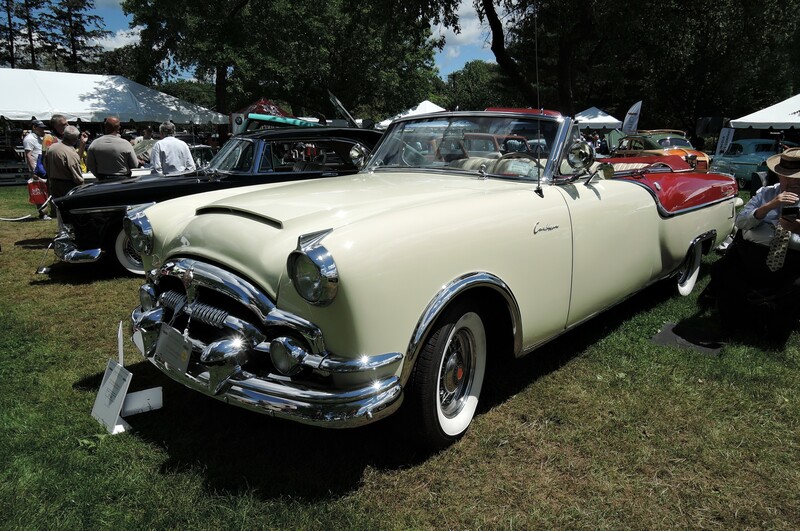 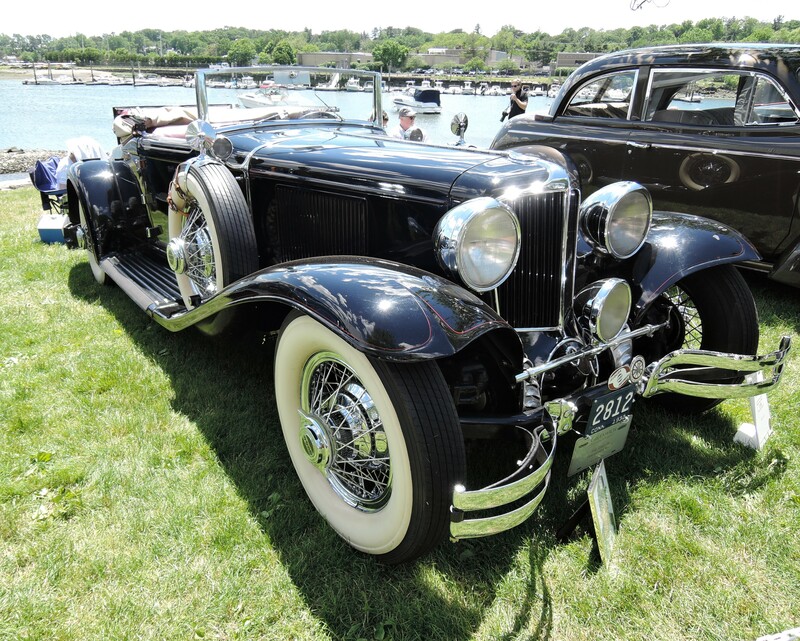 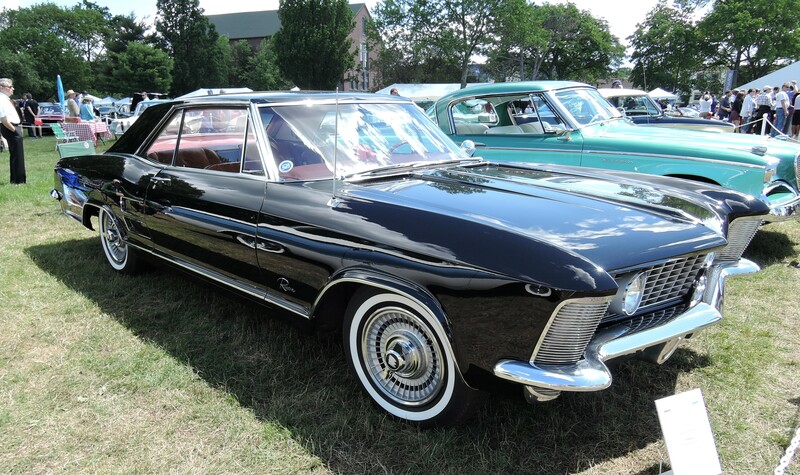 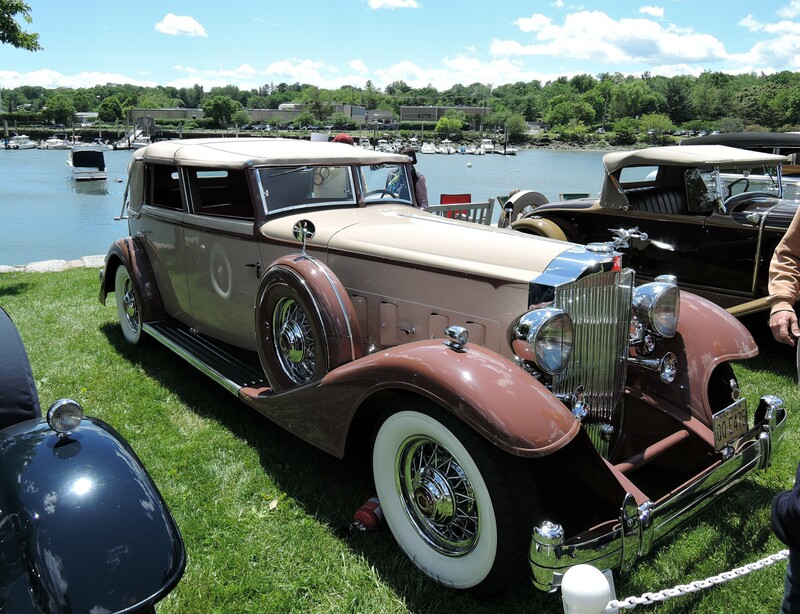 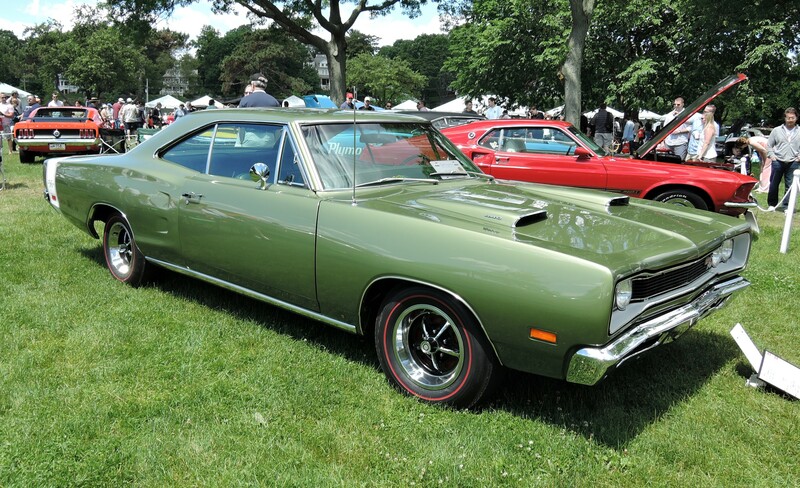 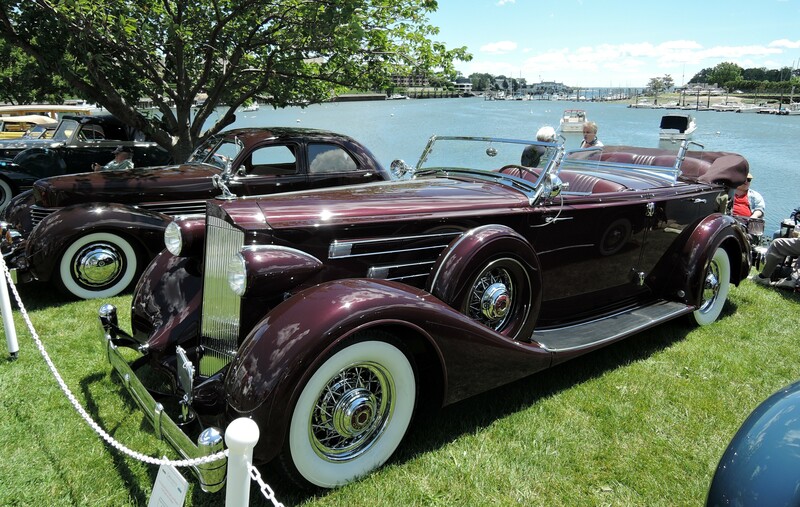 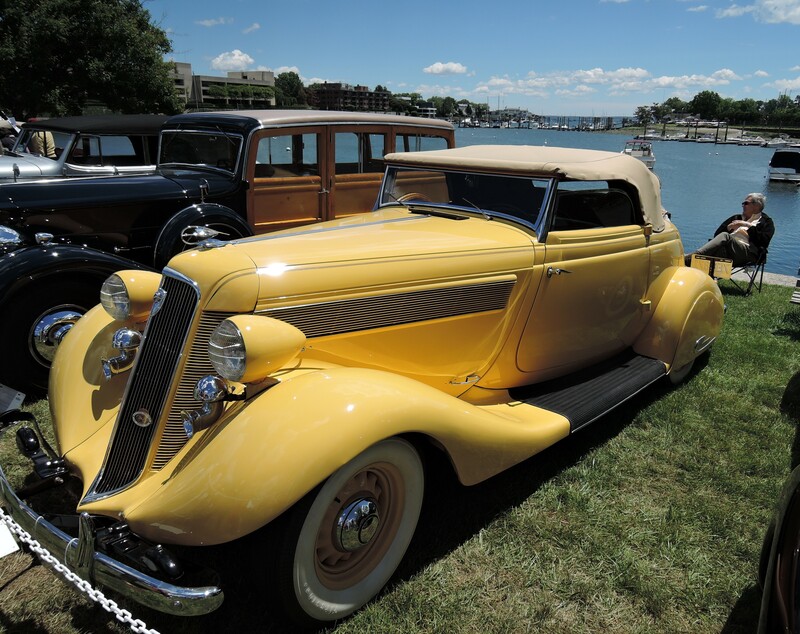 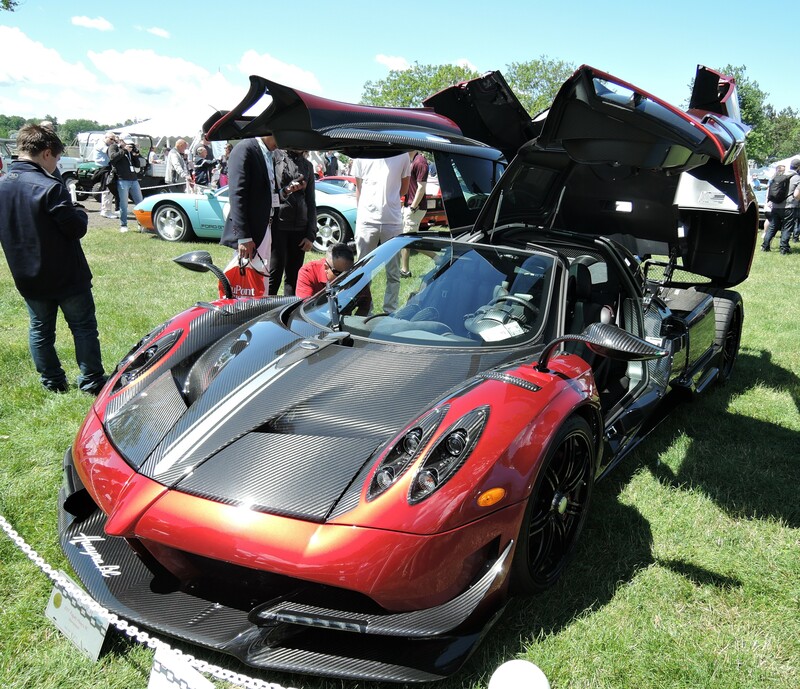 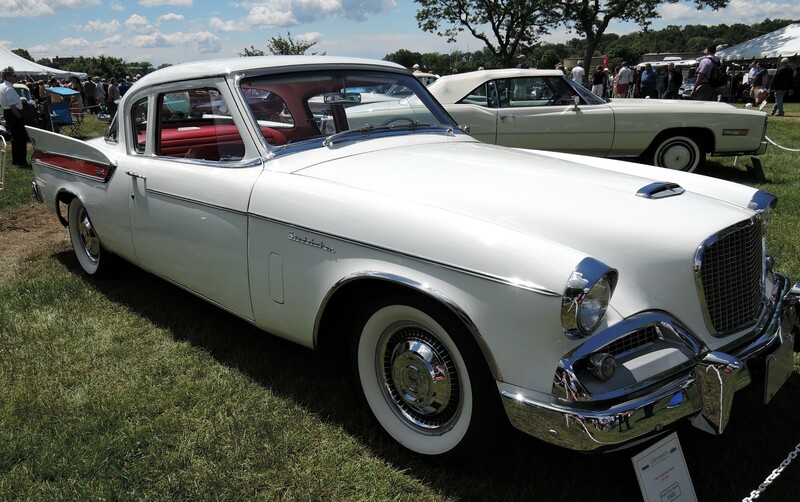 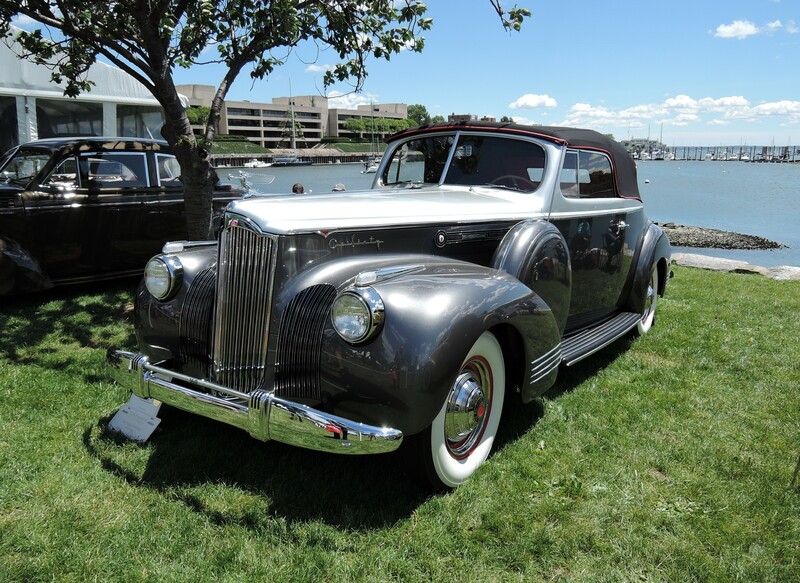 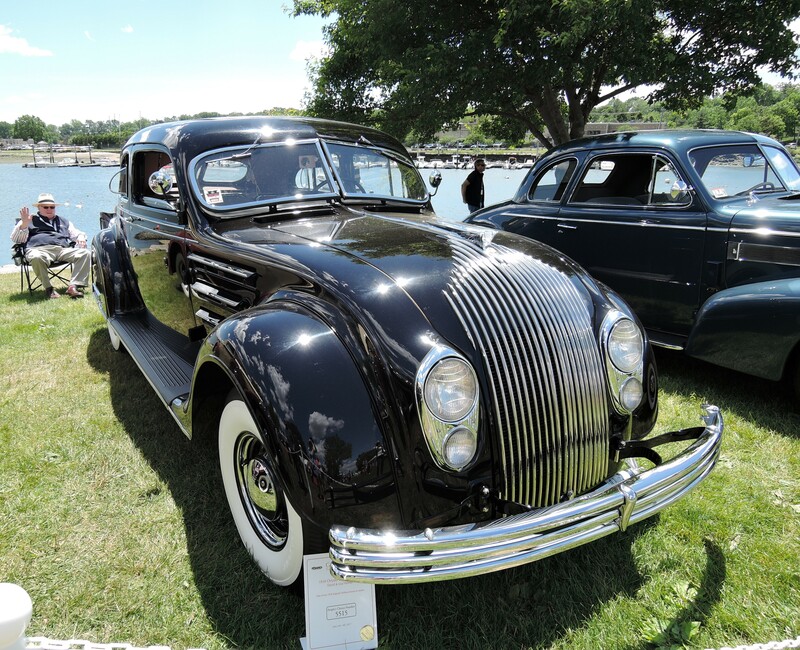 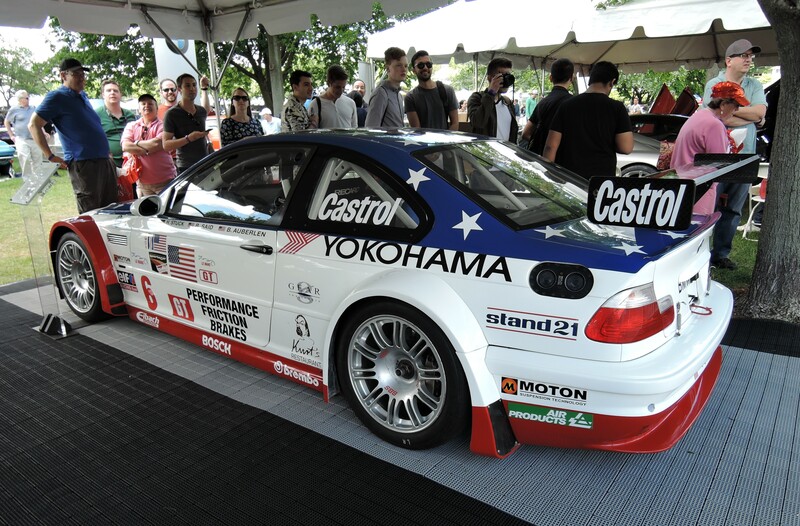 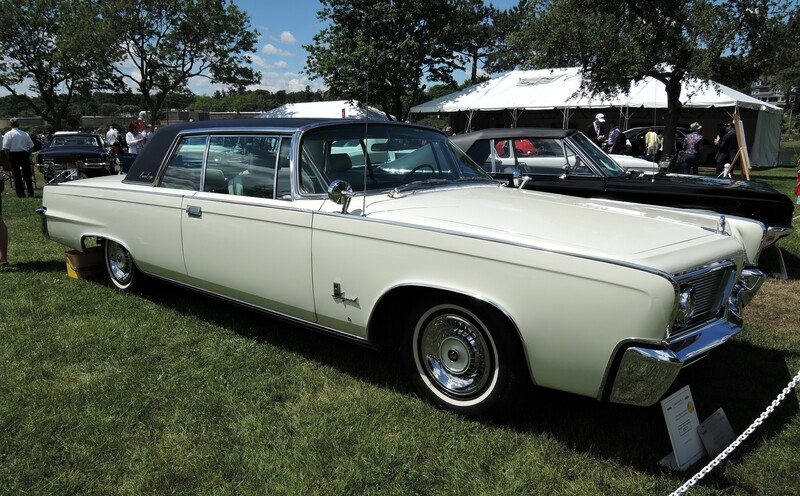 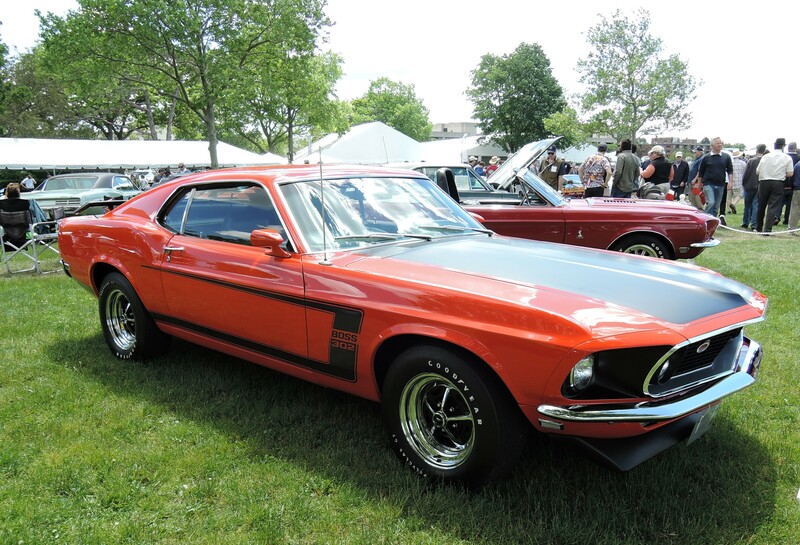 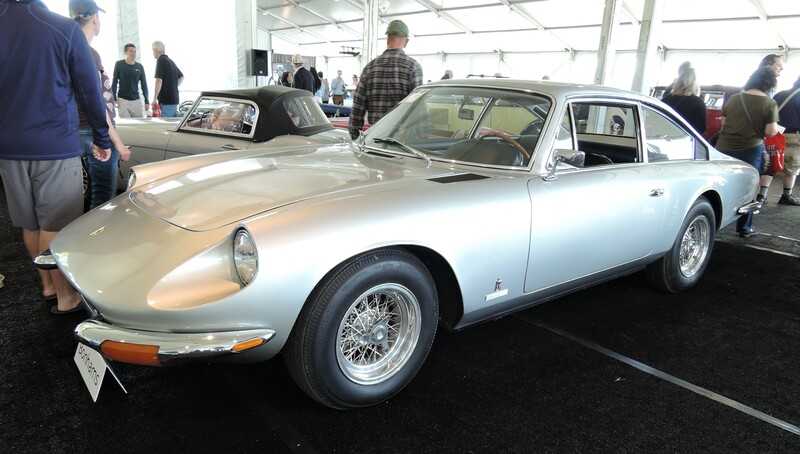 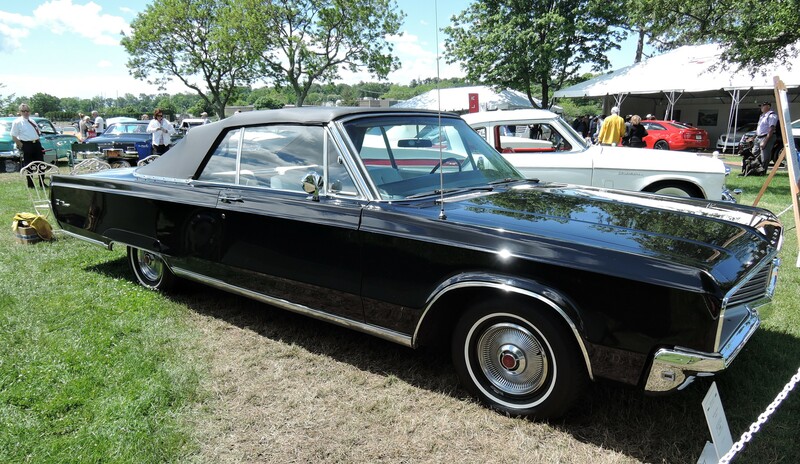 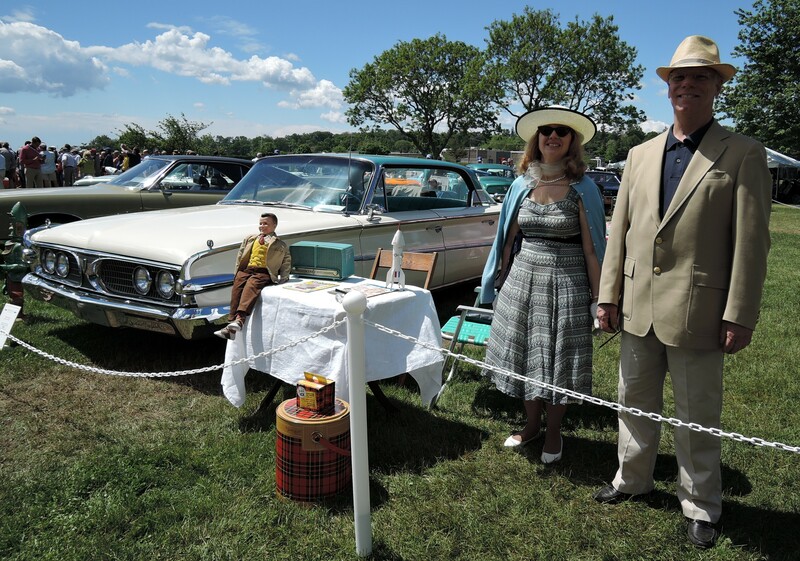 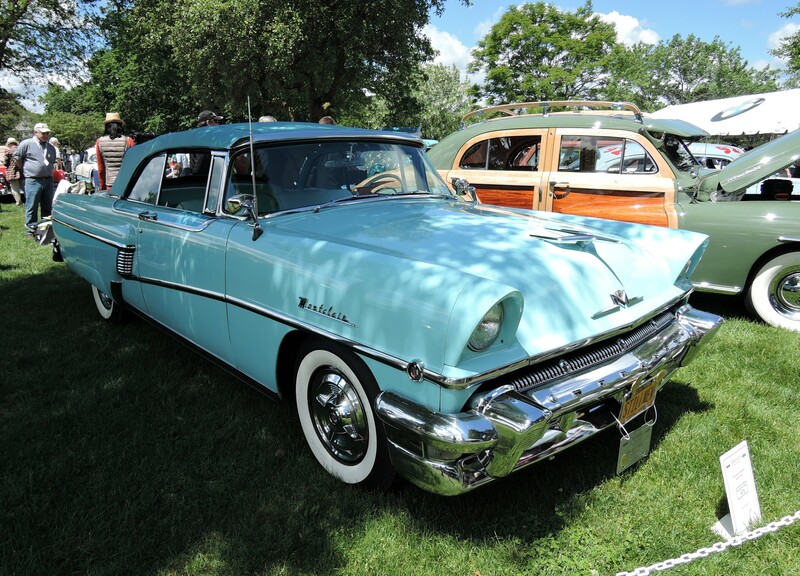 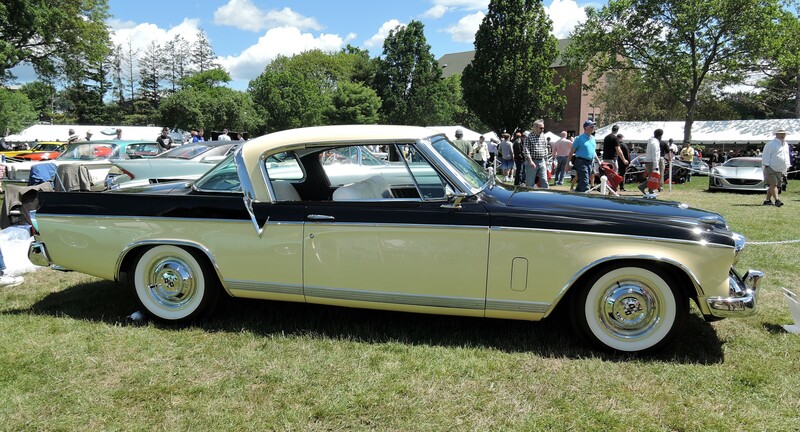 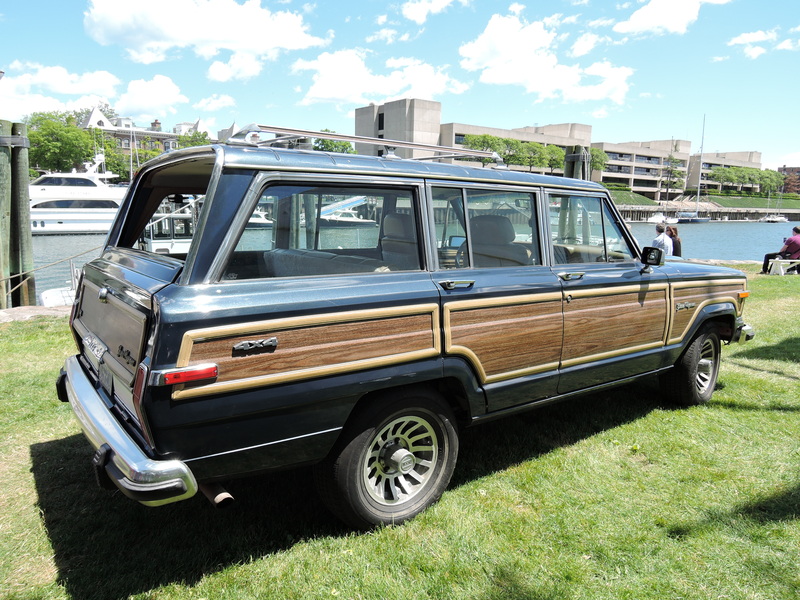 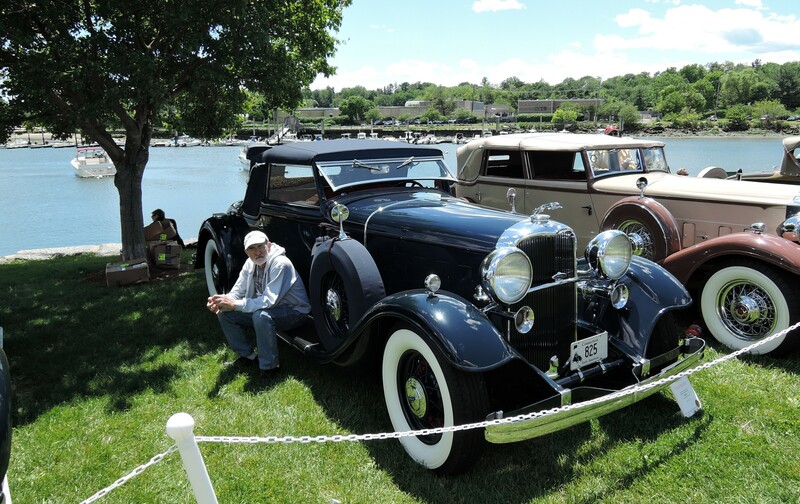 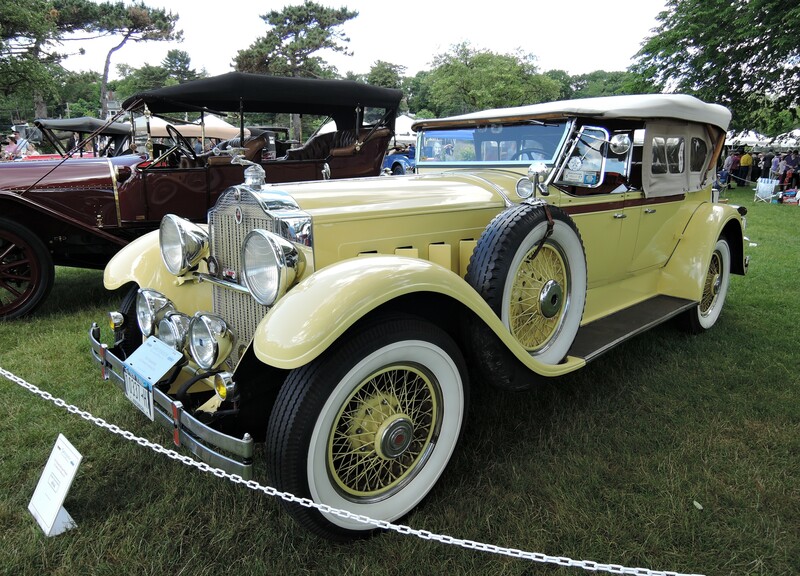 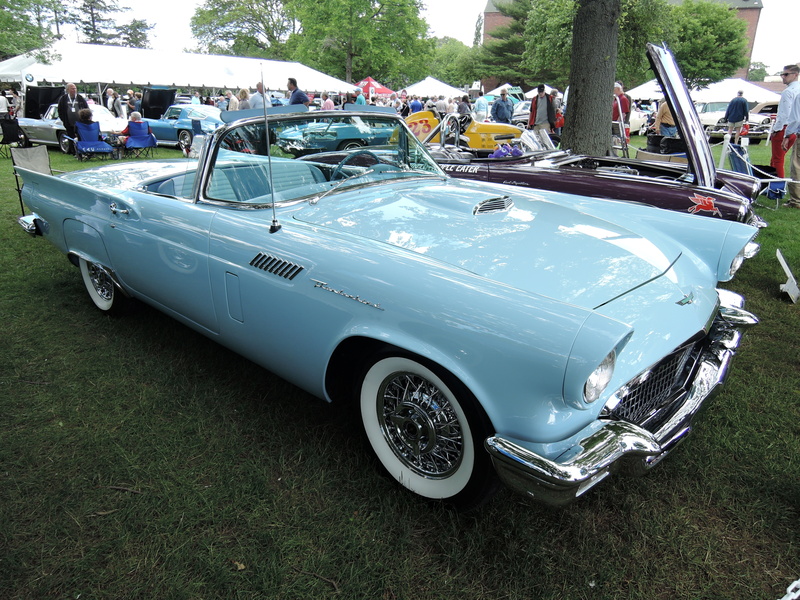 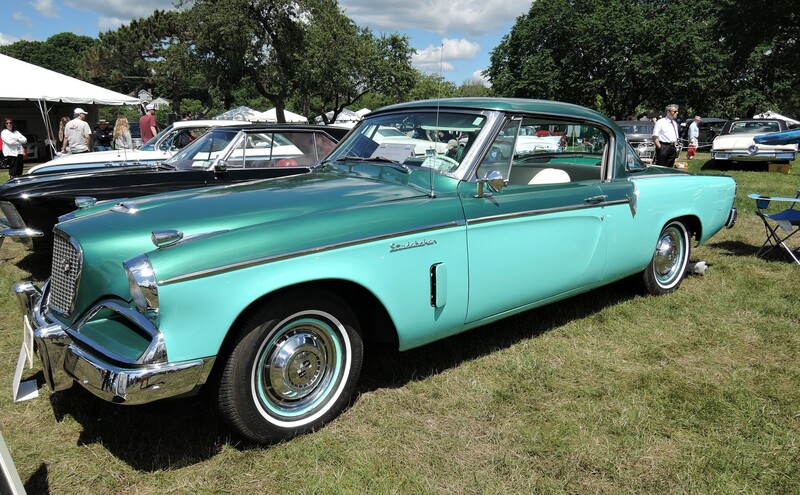 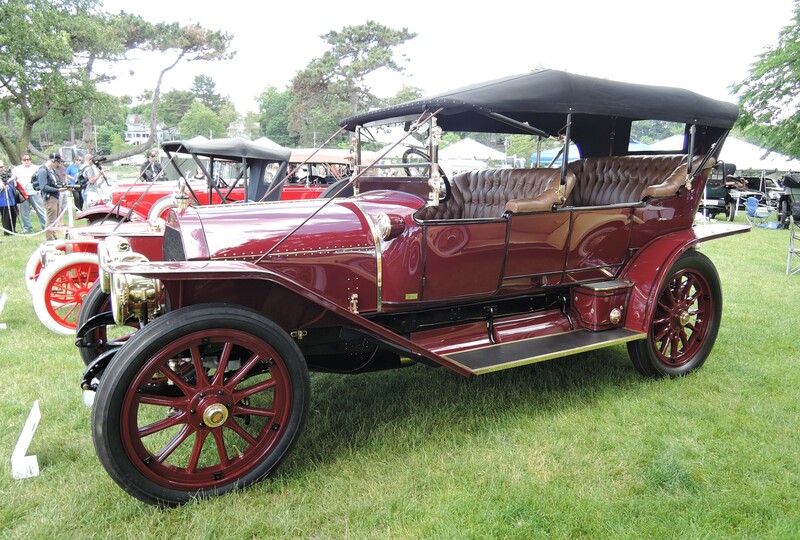 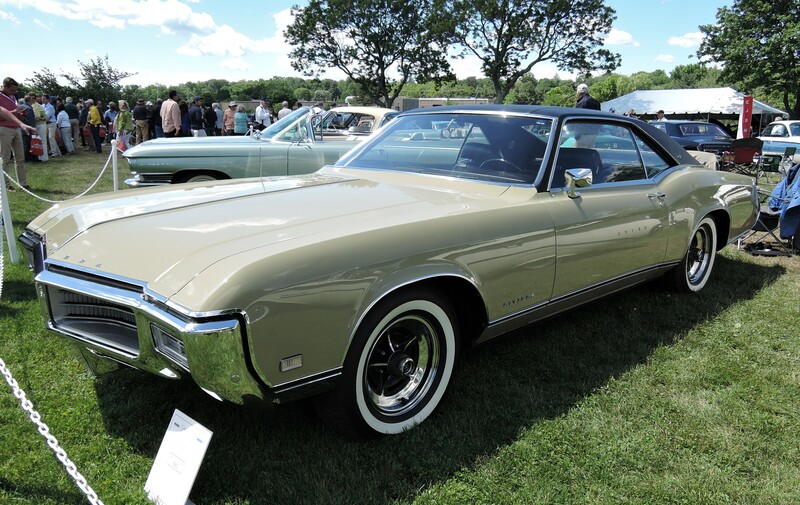 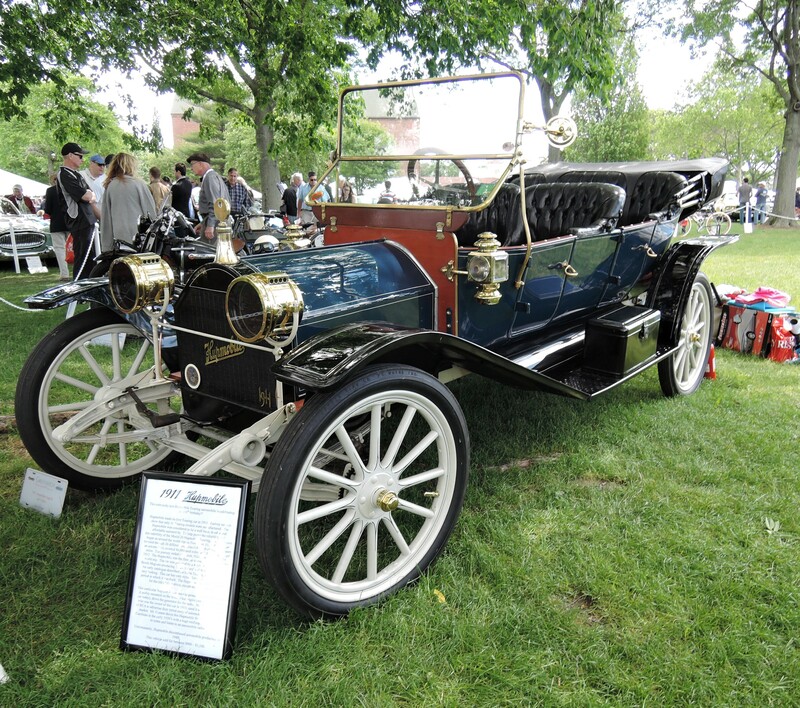 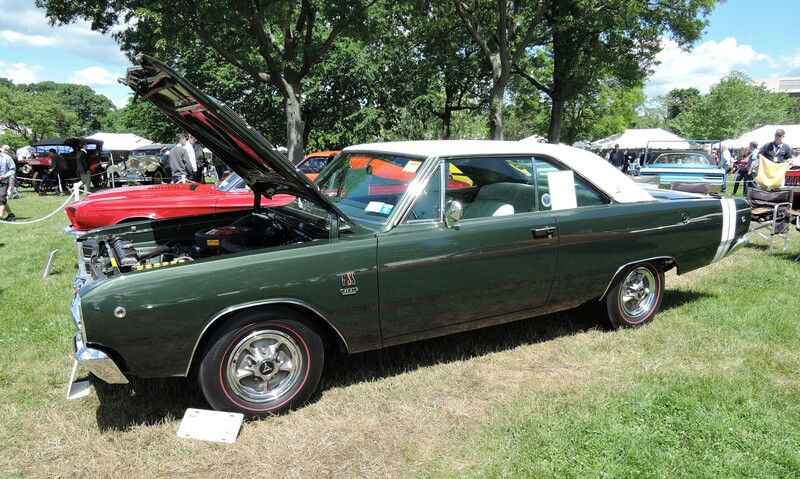 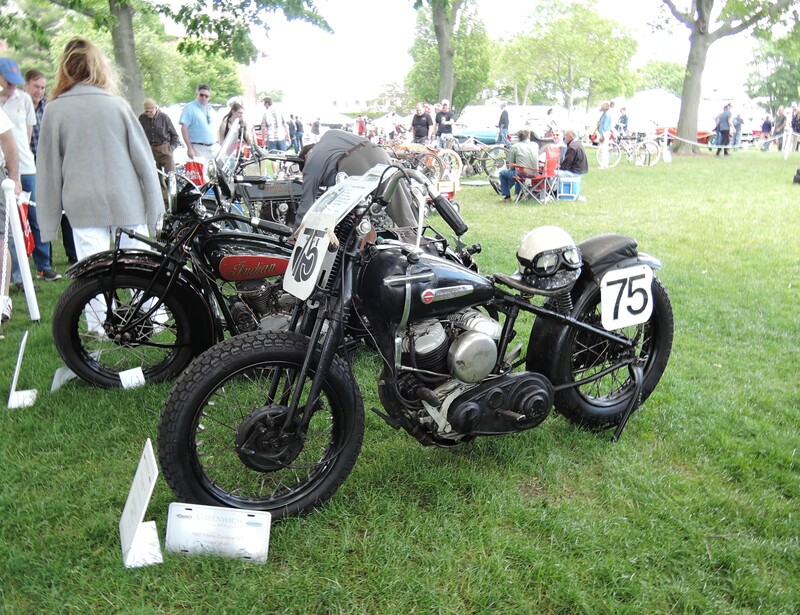 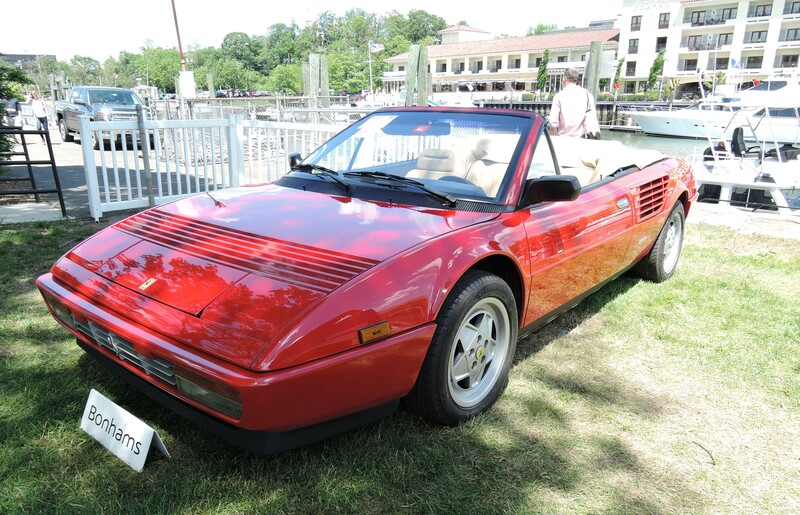 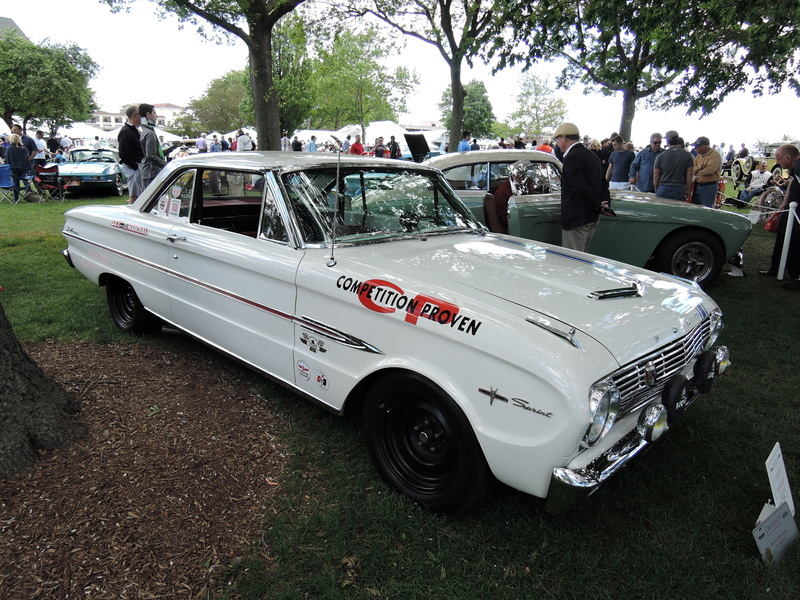 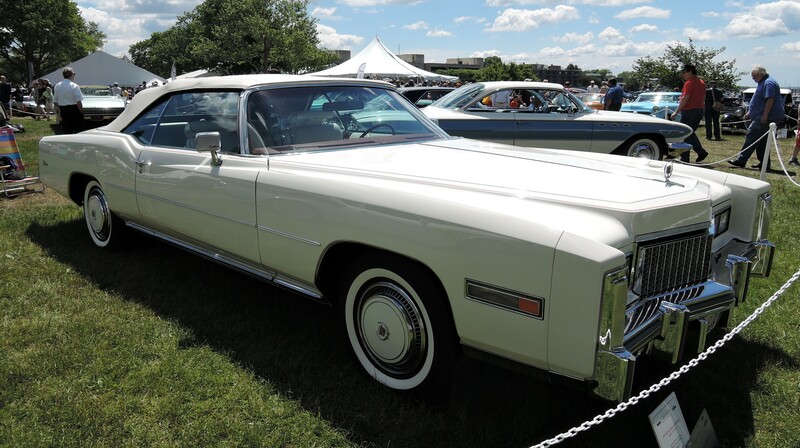 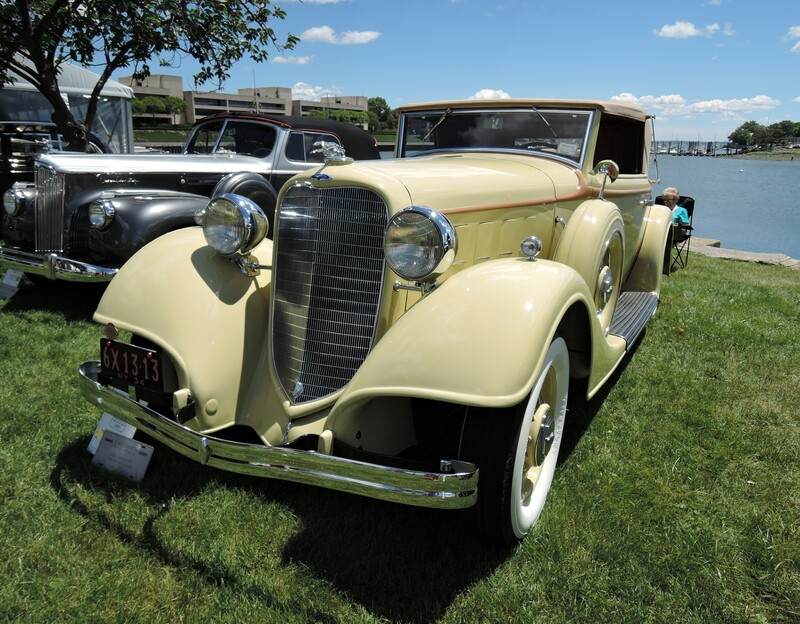 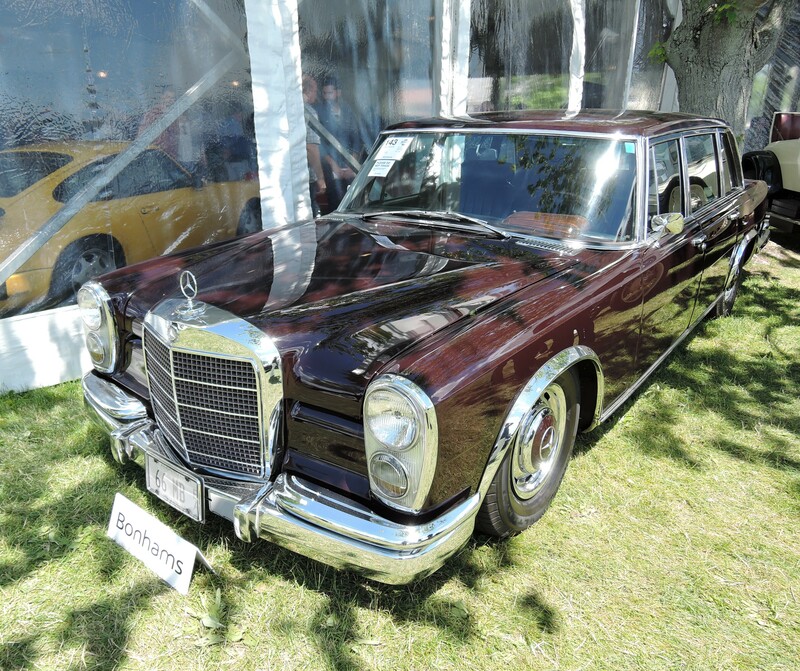 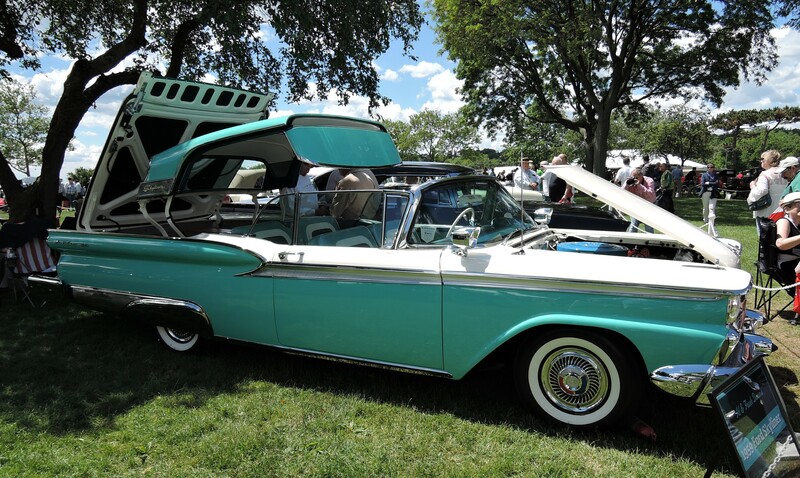 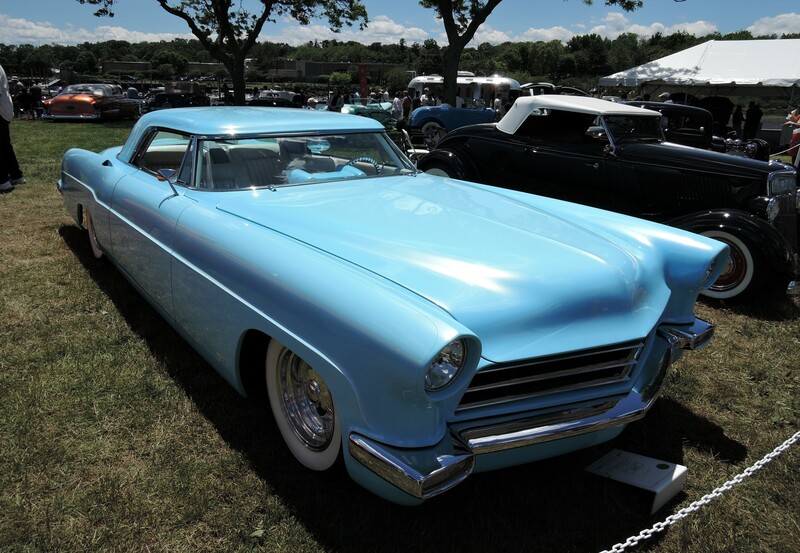 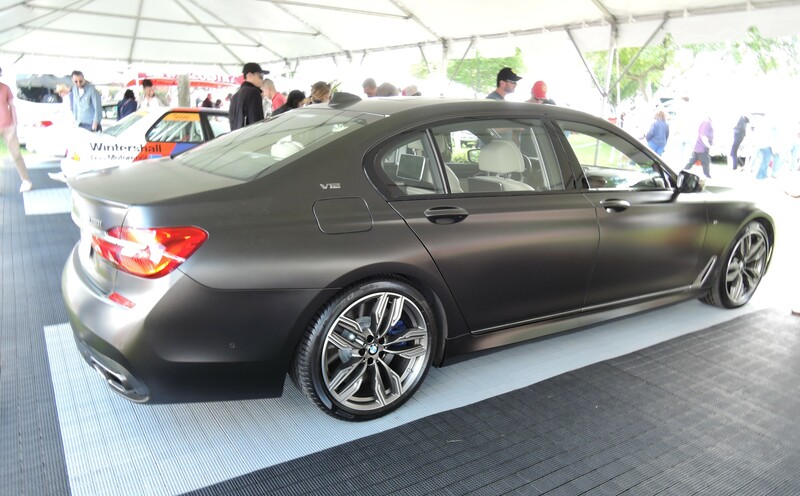 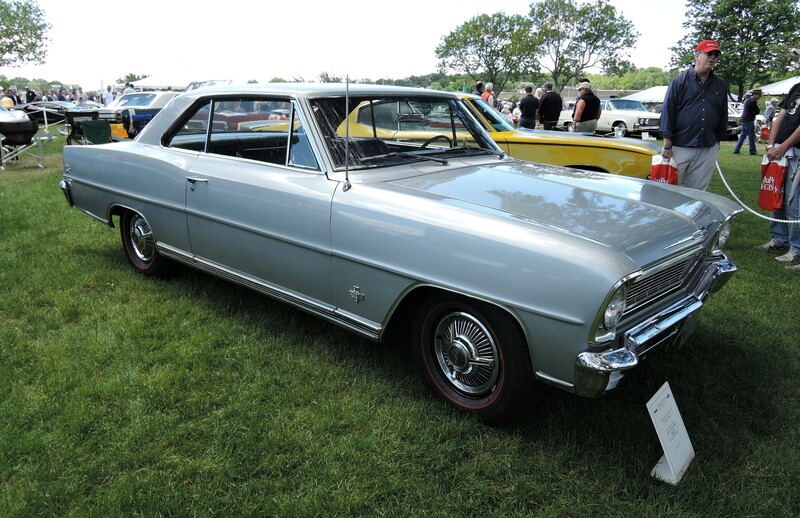 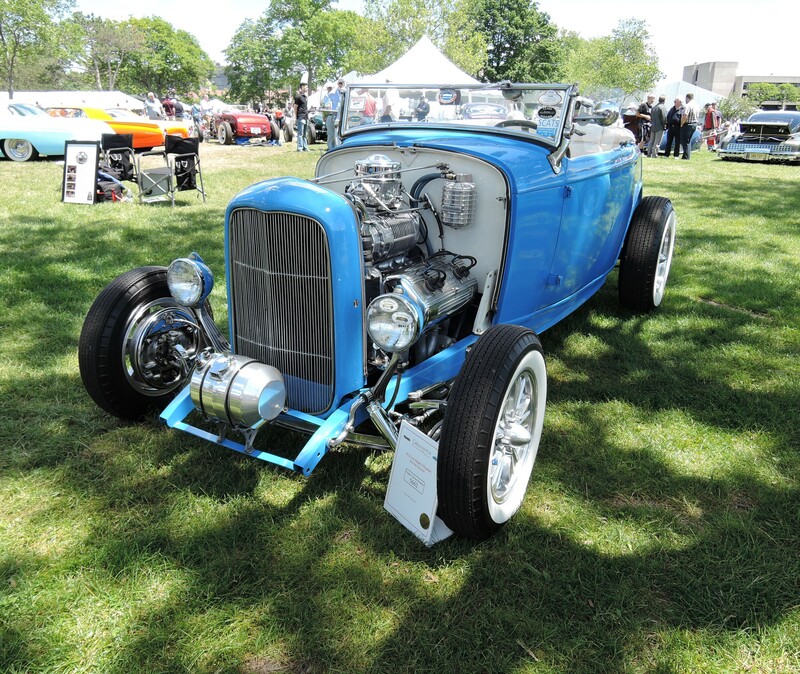 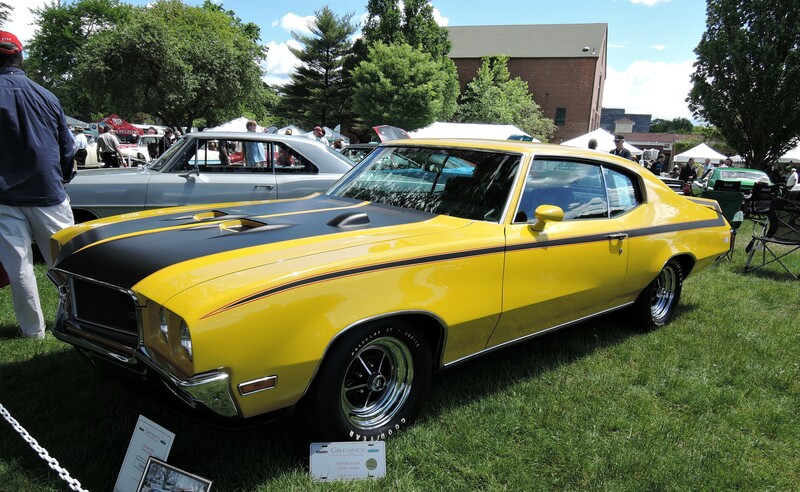 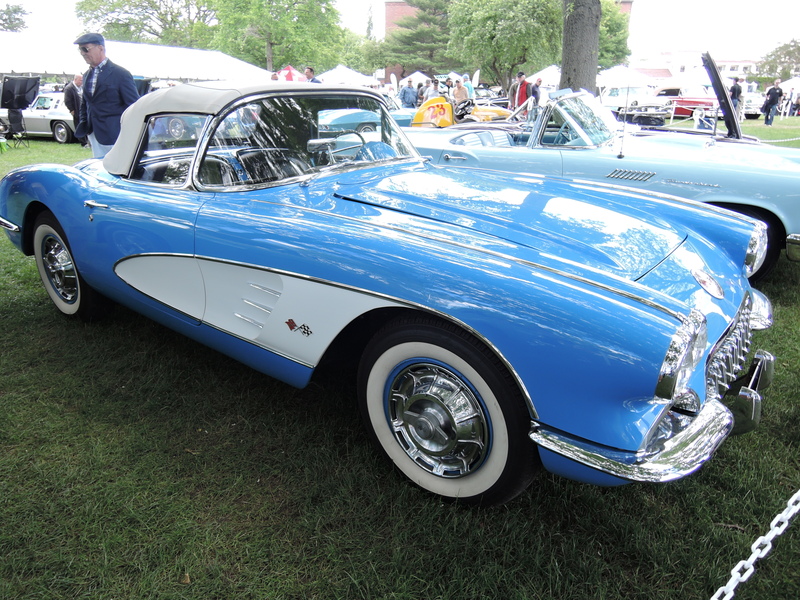 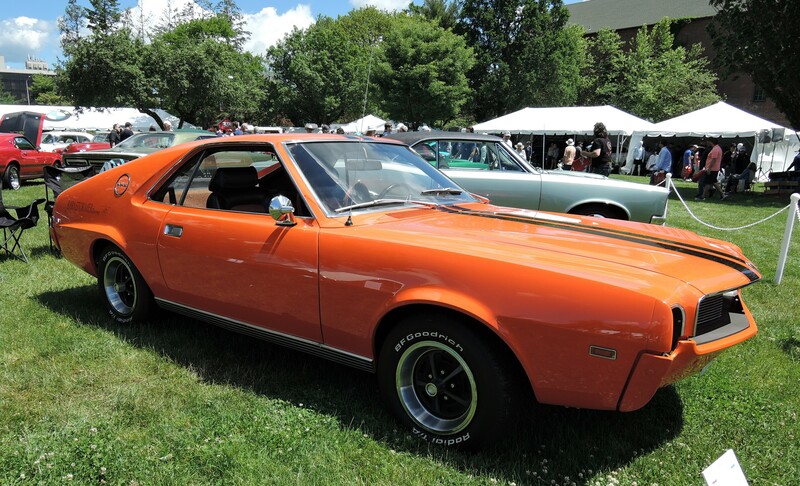 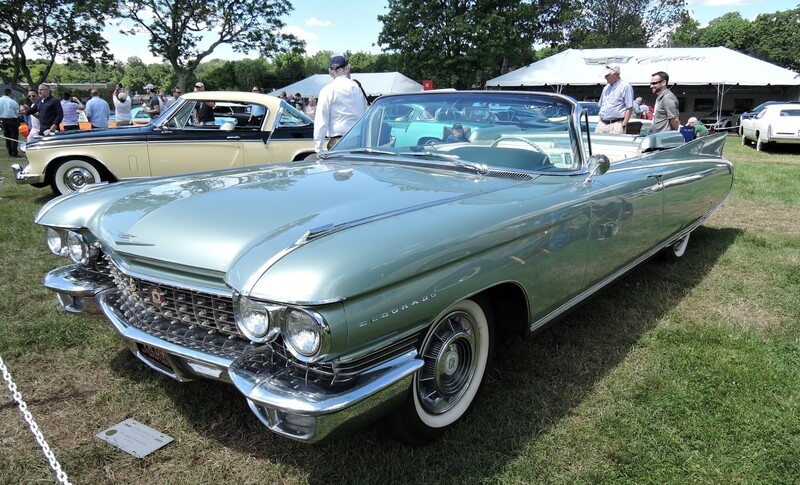 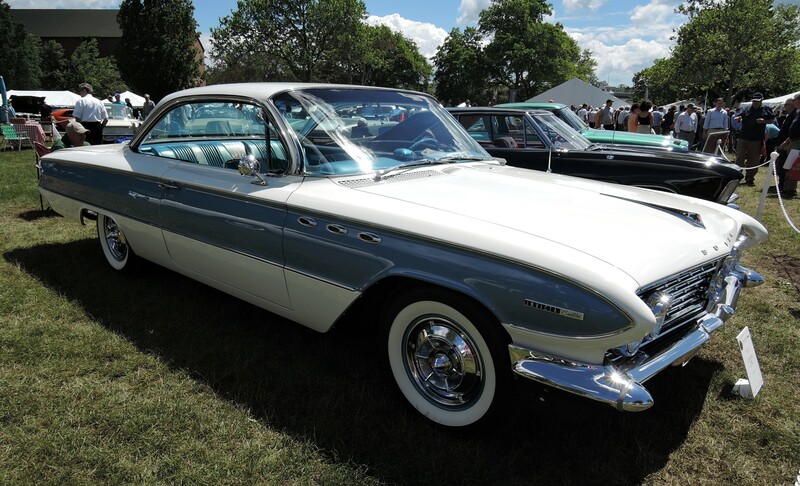 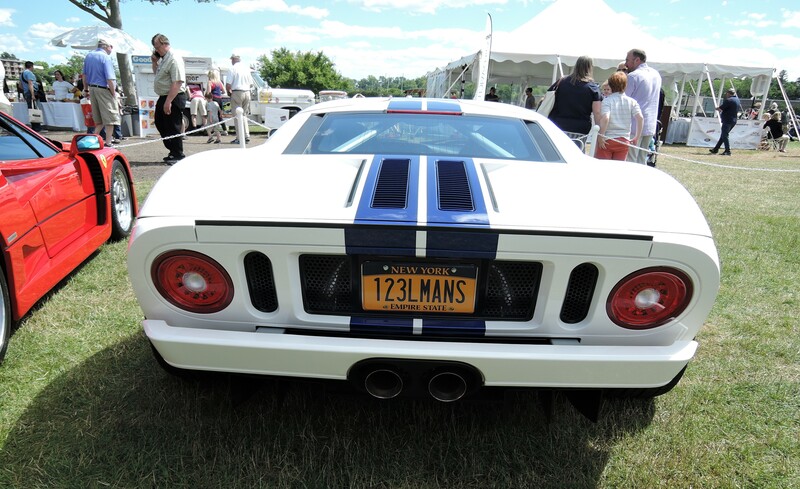 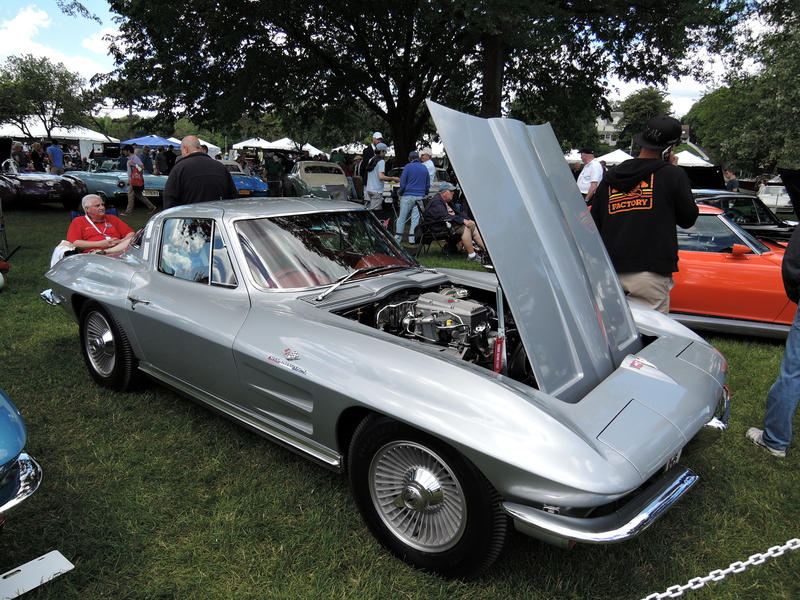 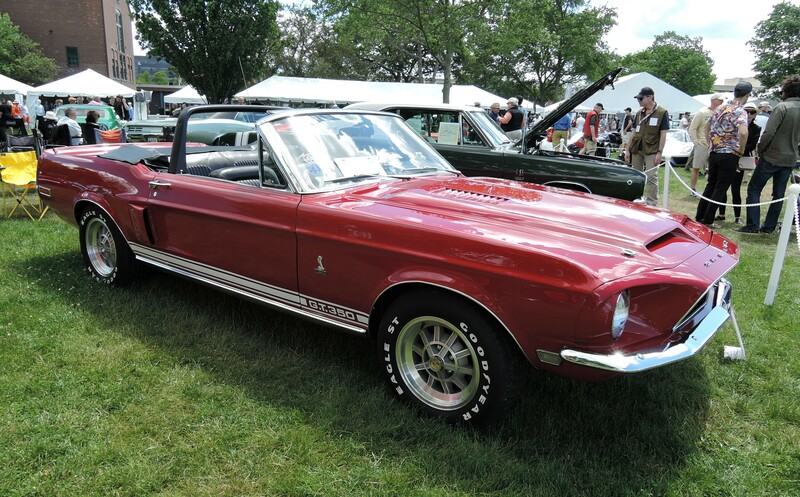 The Park looks out over Greenwich Harbor on Long Island Sound, and the format consists of domestic marques exhibited on Saturday and imported marques on Sunday. 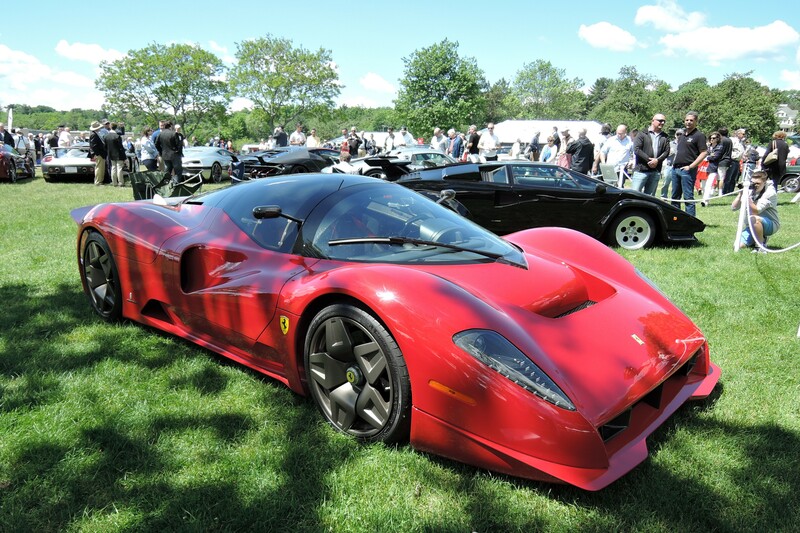 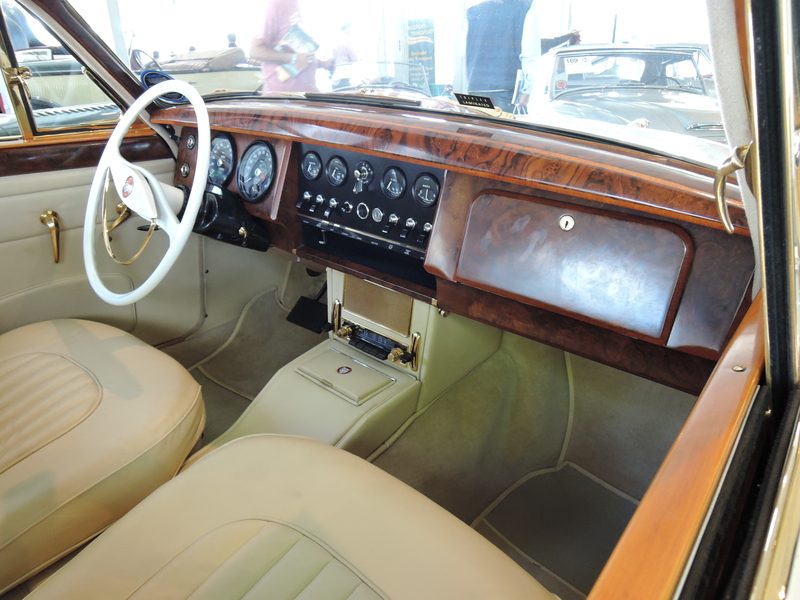 This was the second year for the popular Contemporary Super Car Class (none of which were domestic, but all of which were ‘super’). 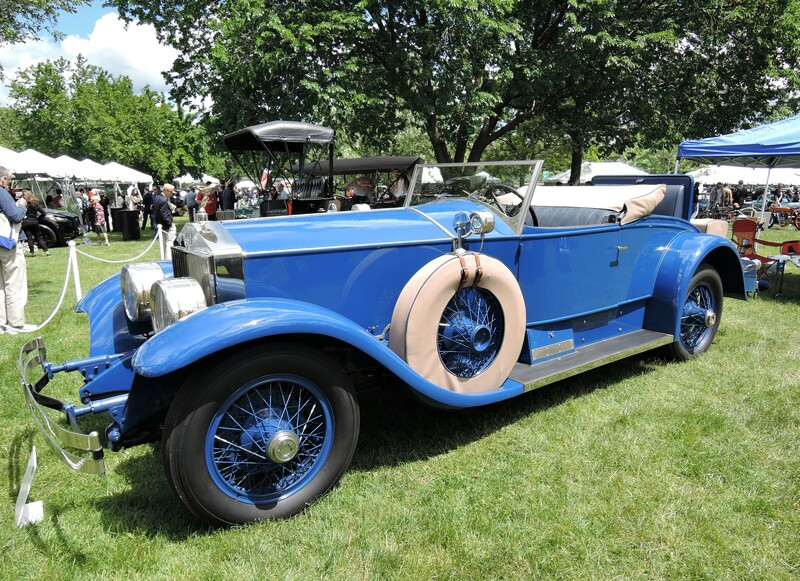 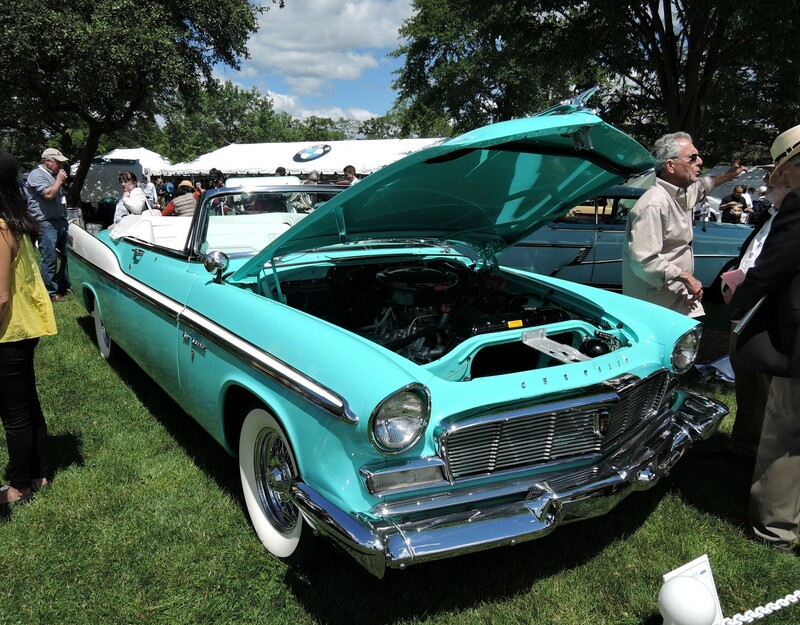 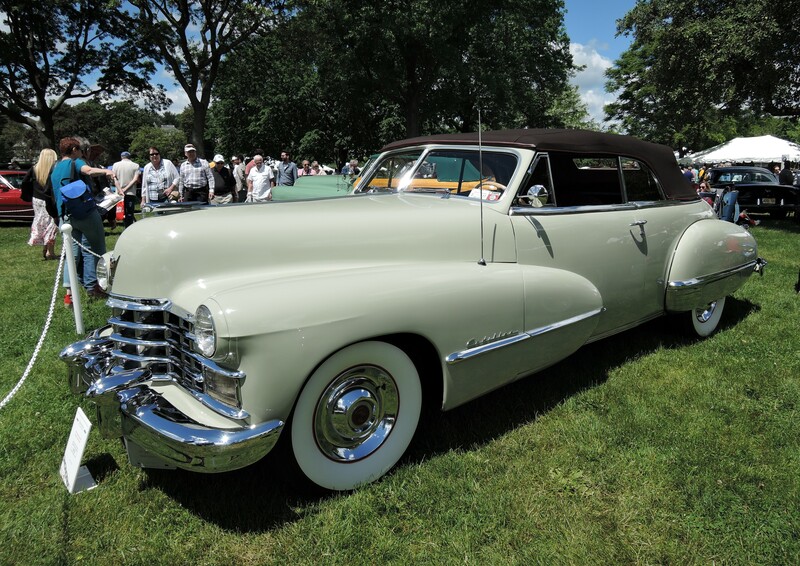 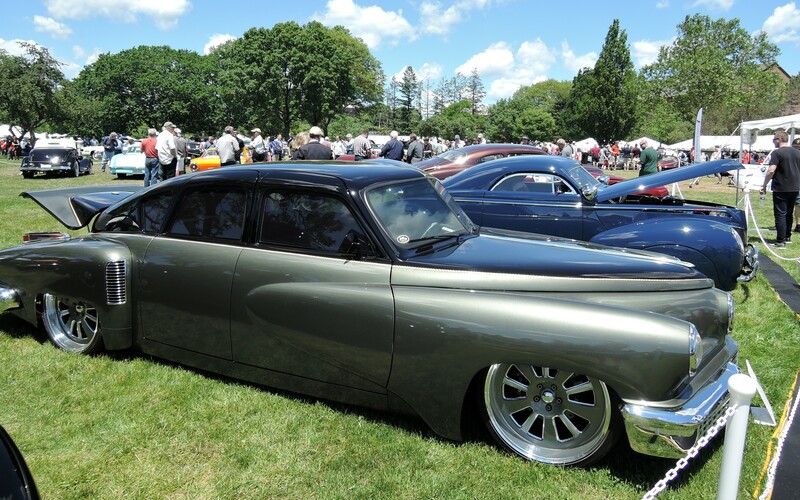 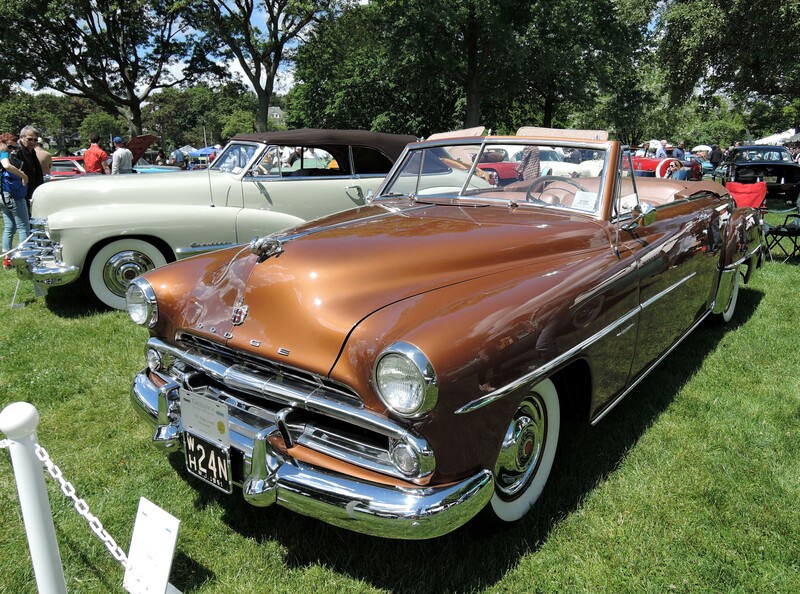 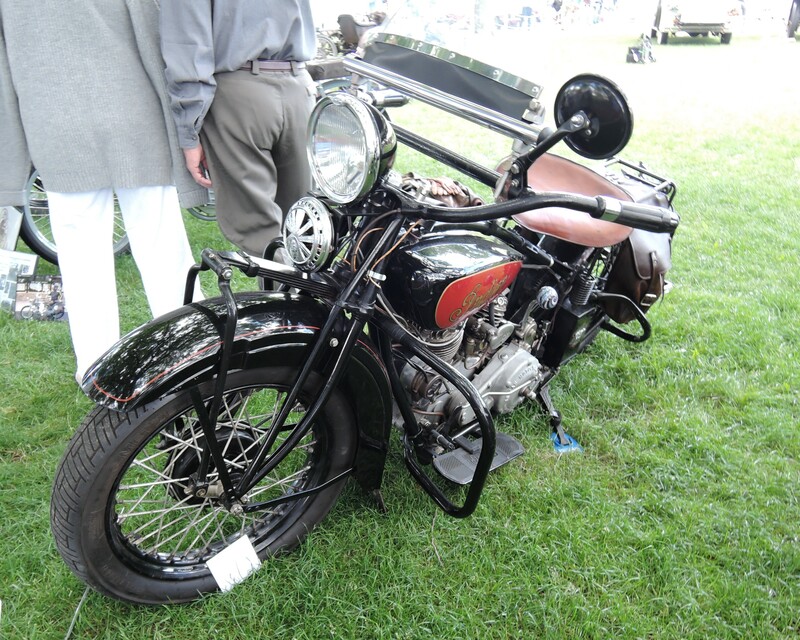 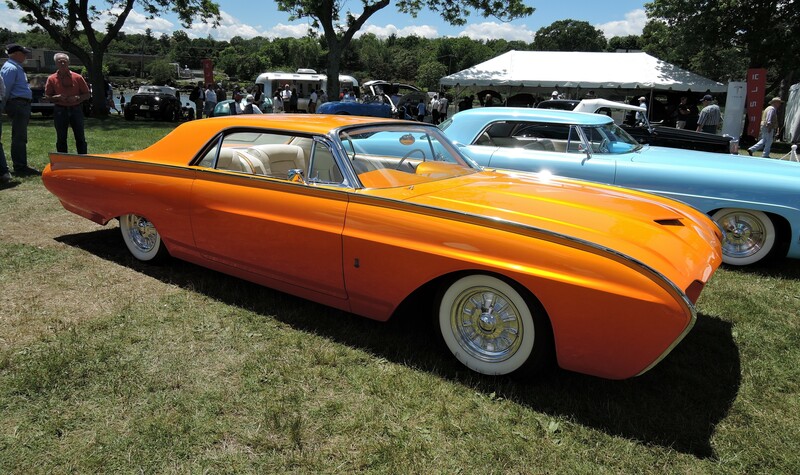 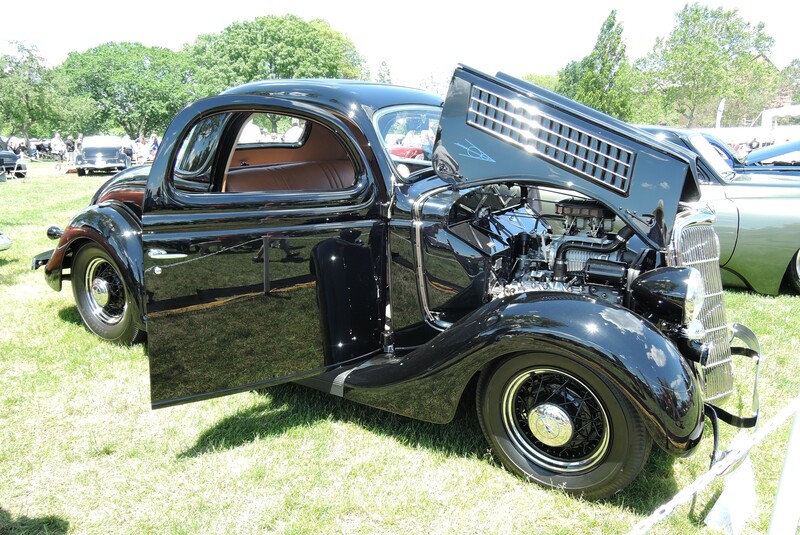 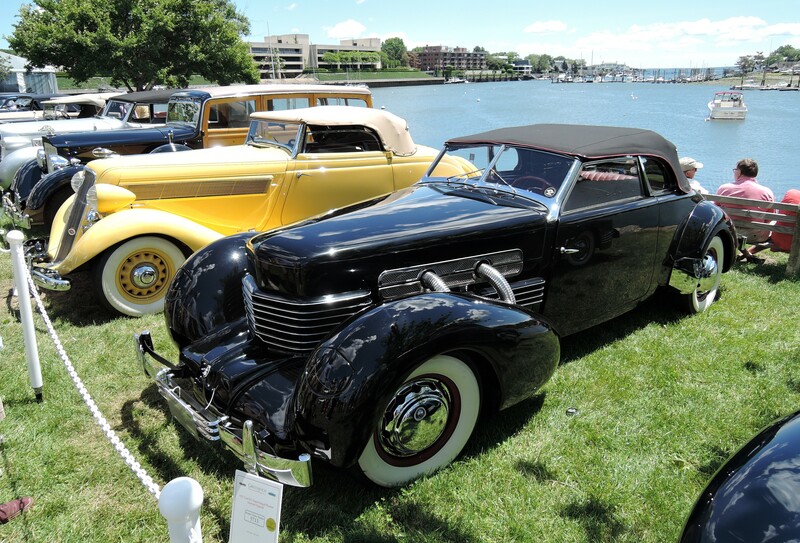 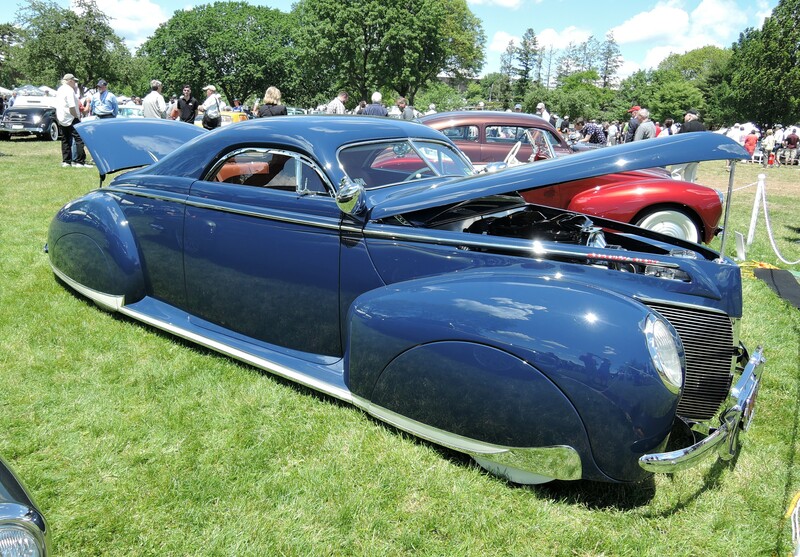 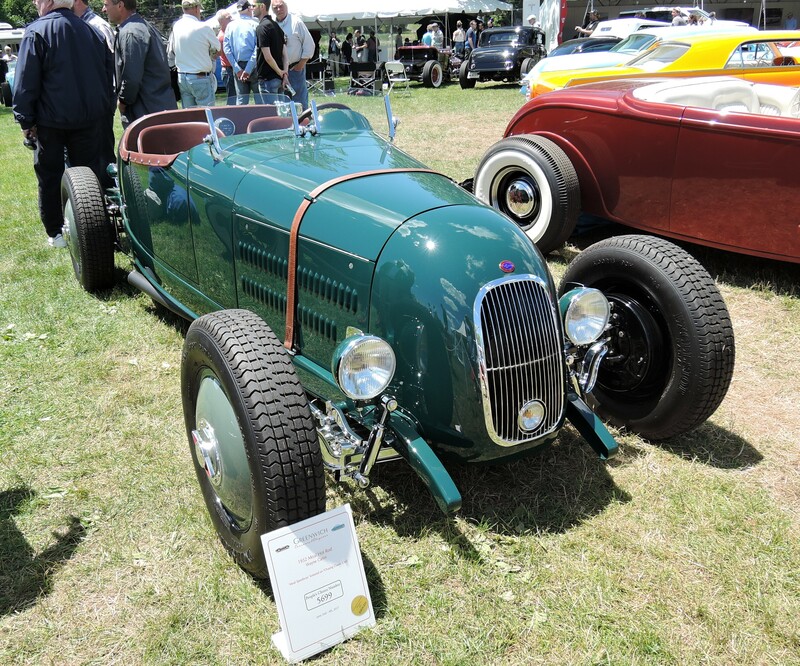 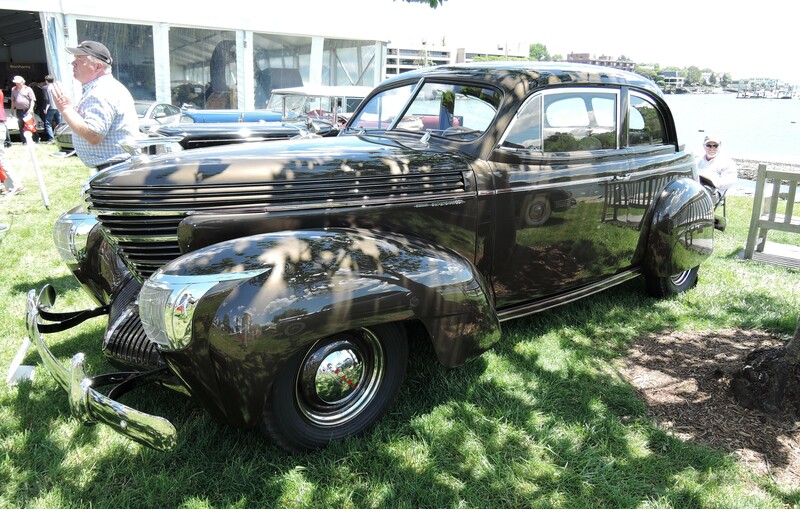 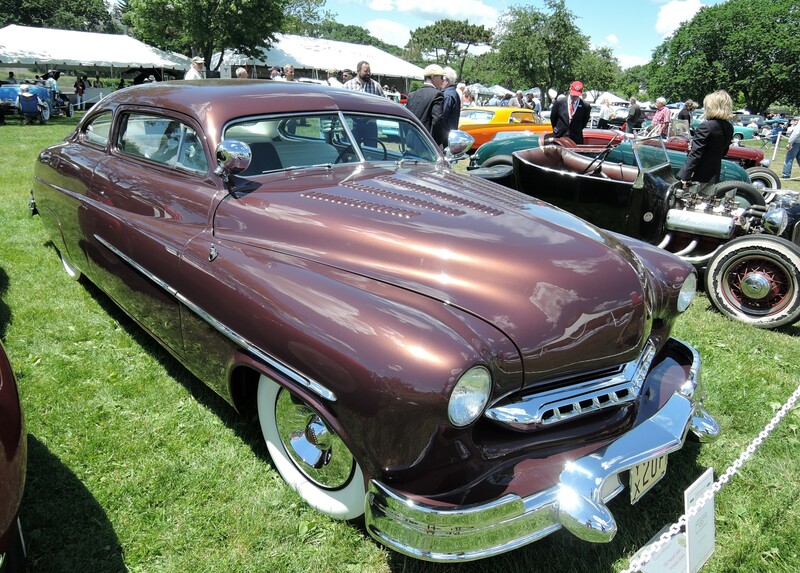 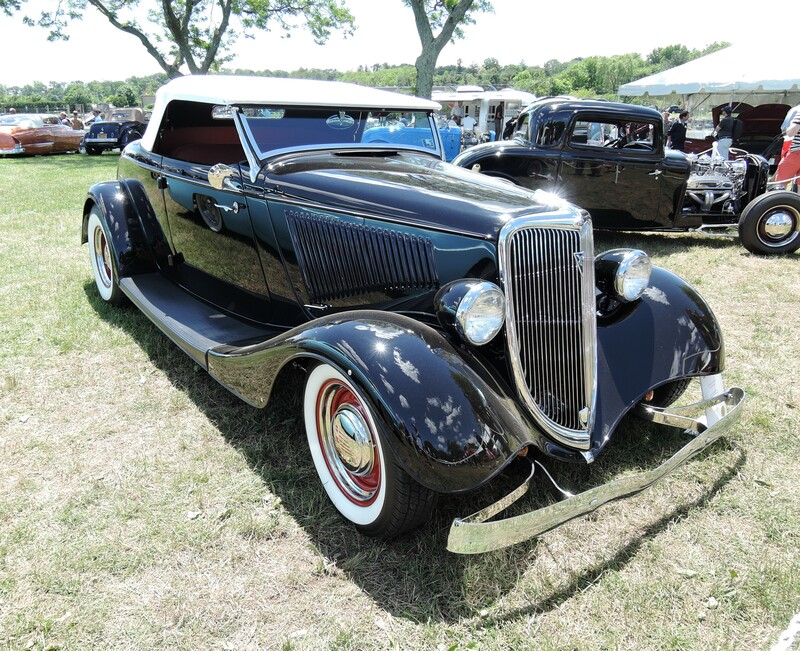 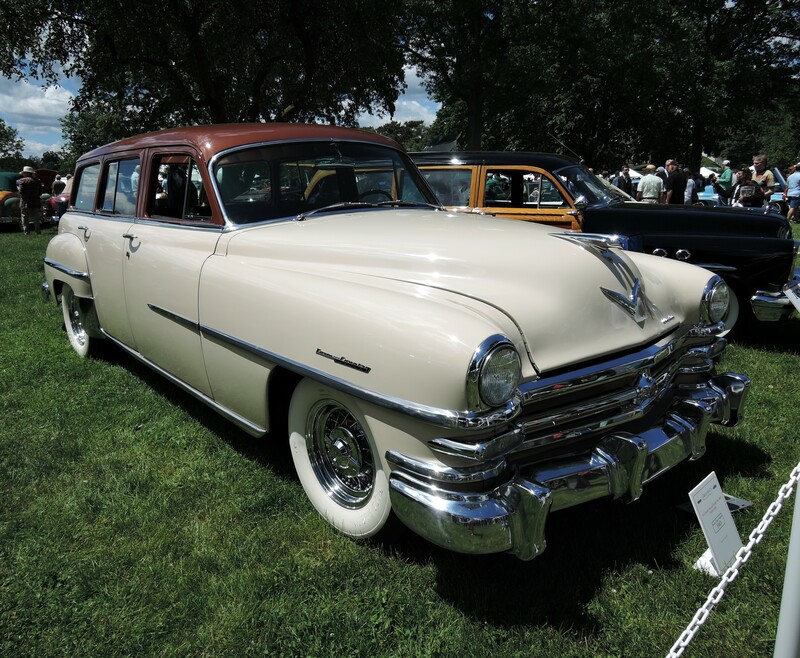 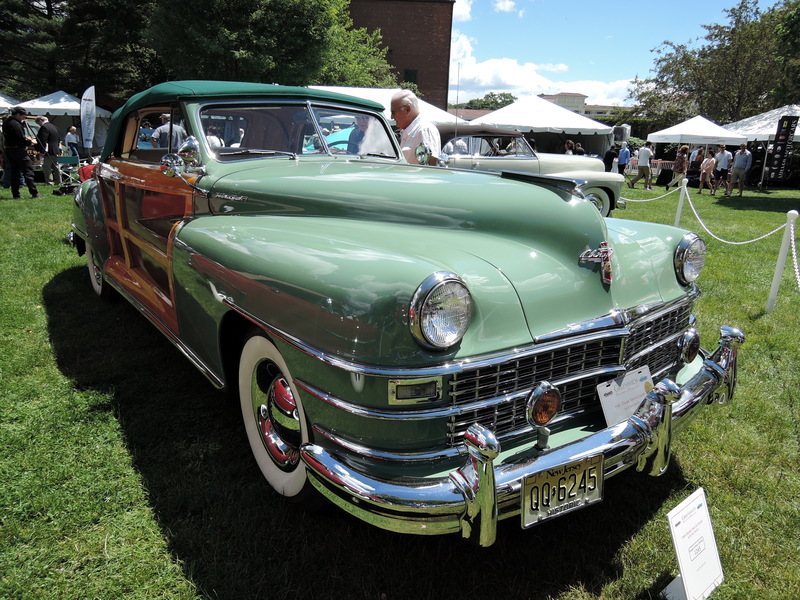 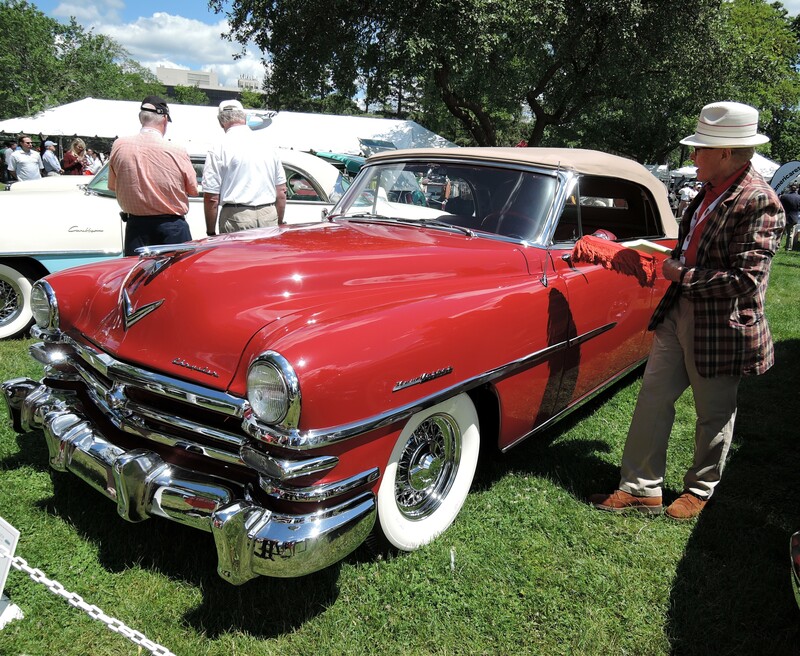 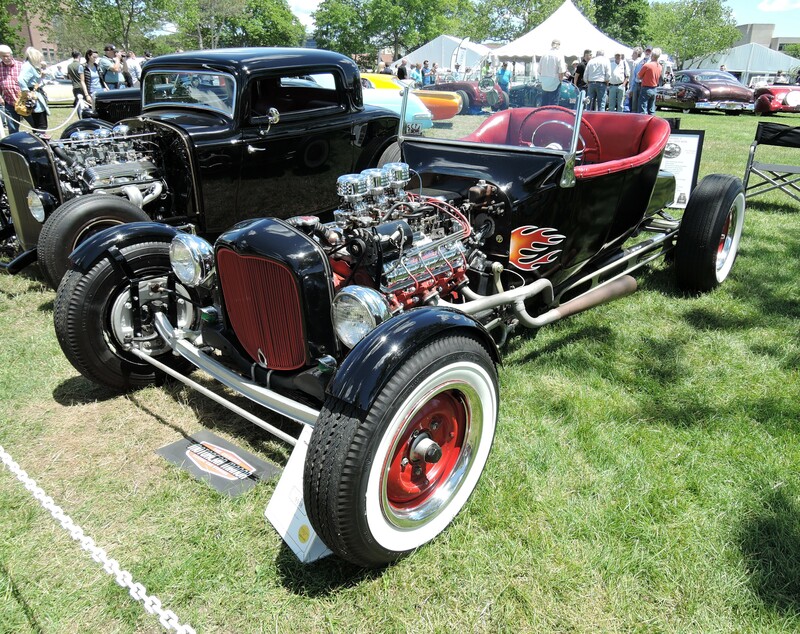 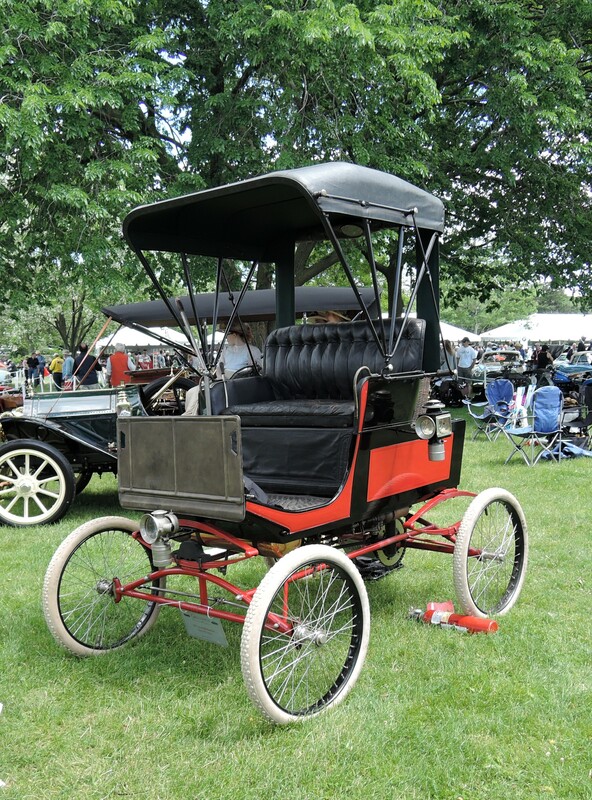 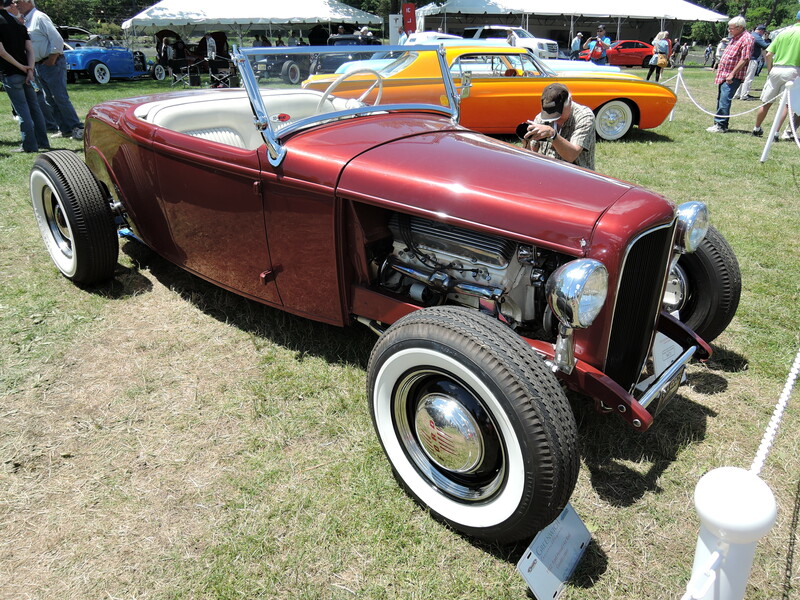 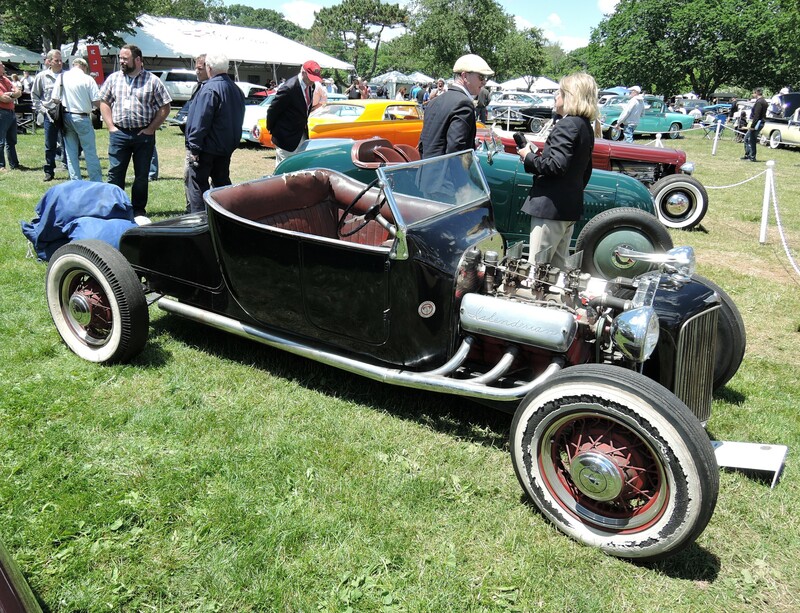 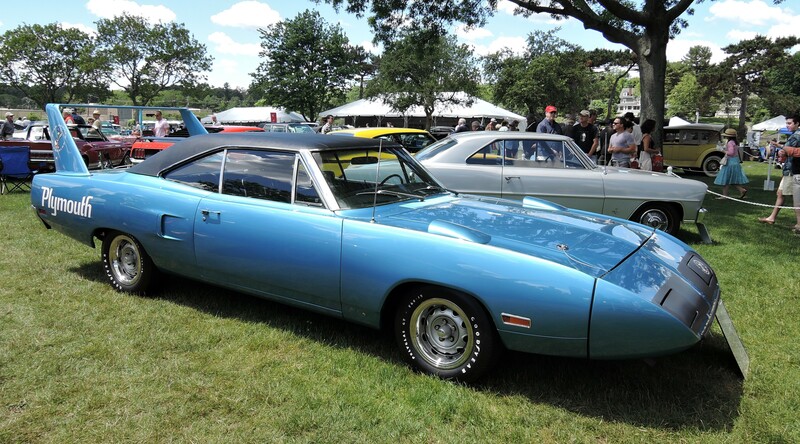 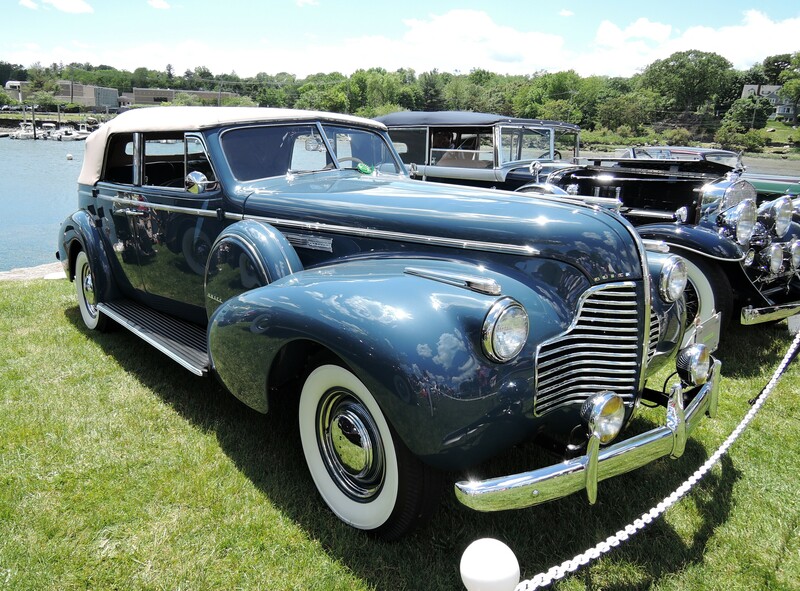 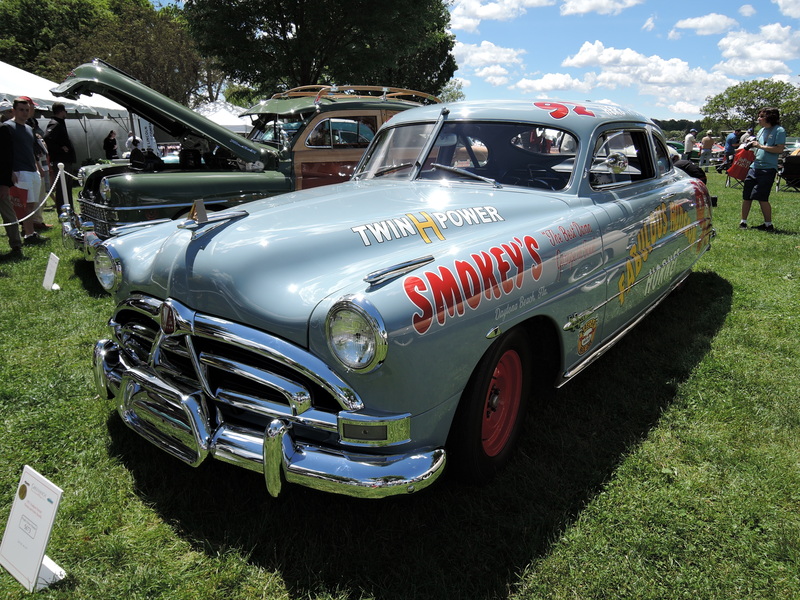 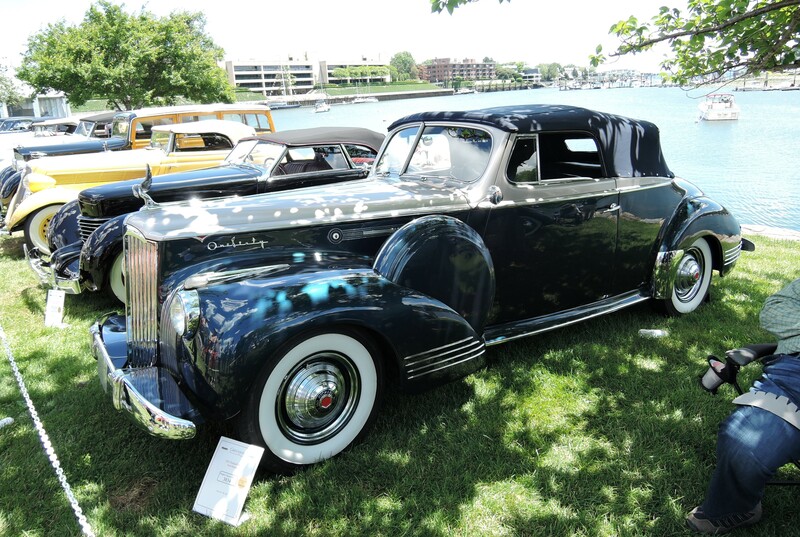 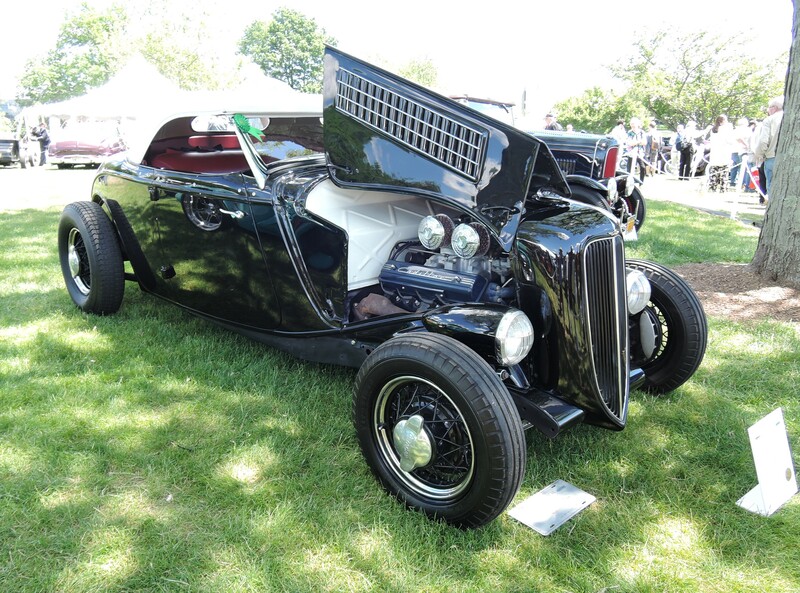 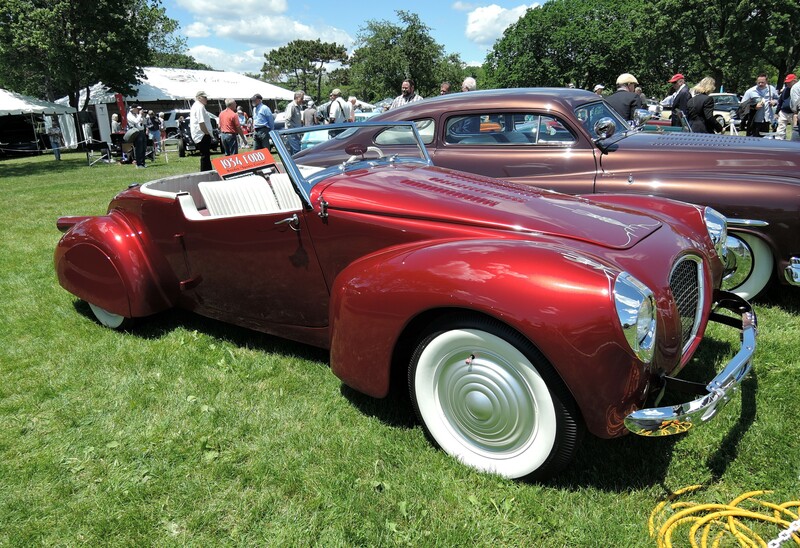 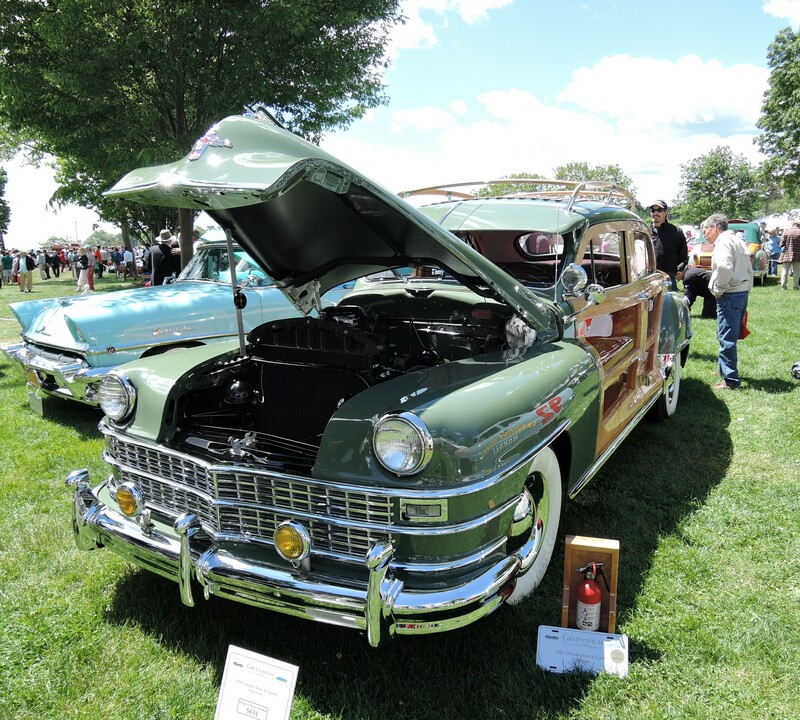 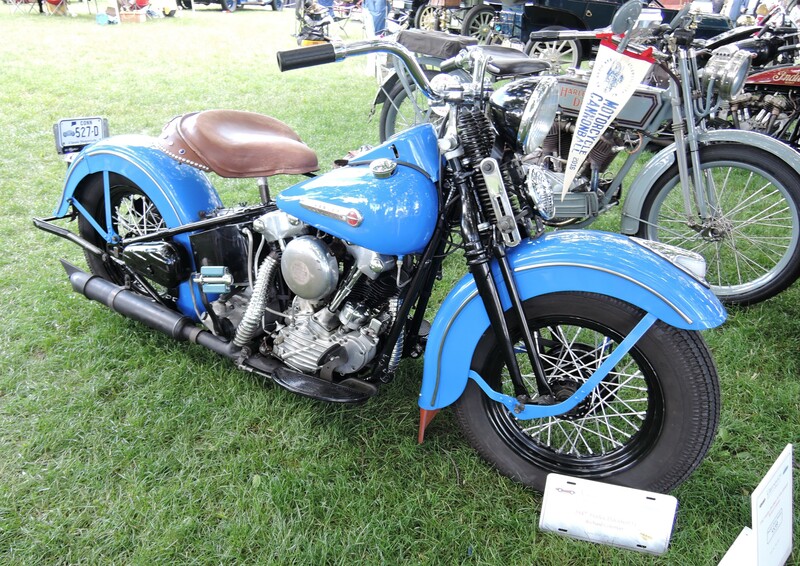 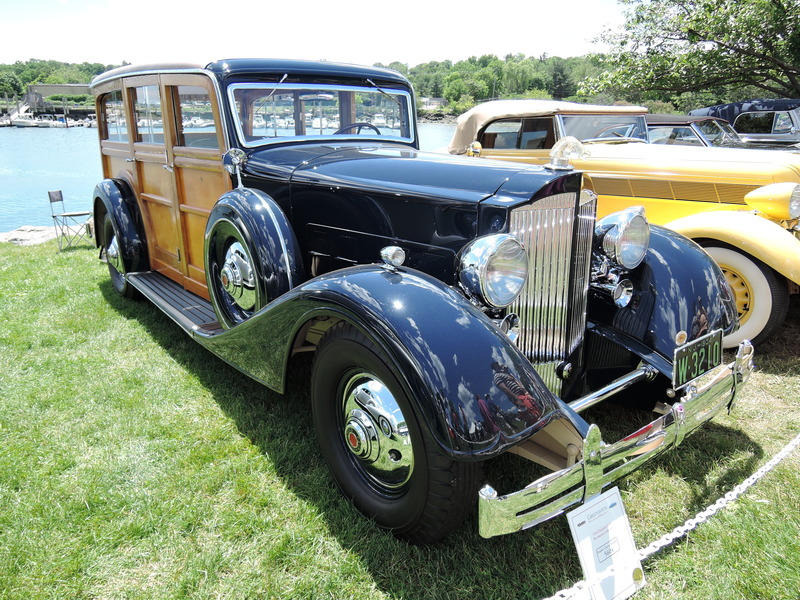 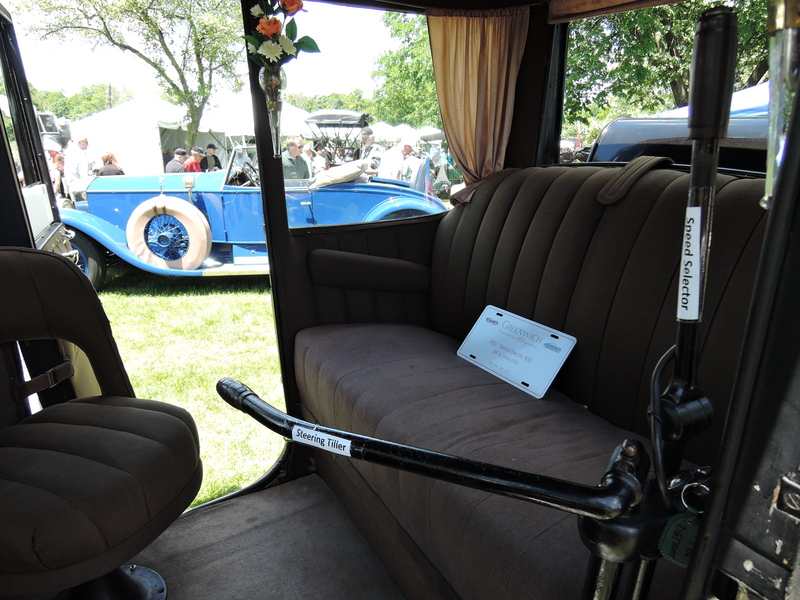 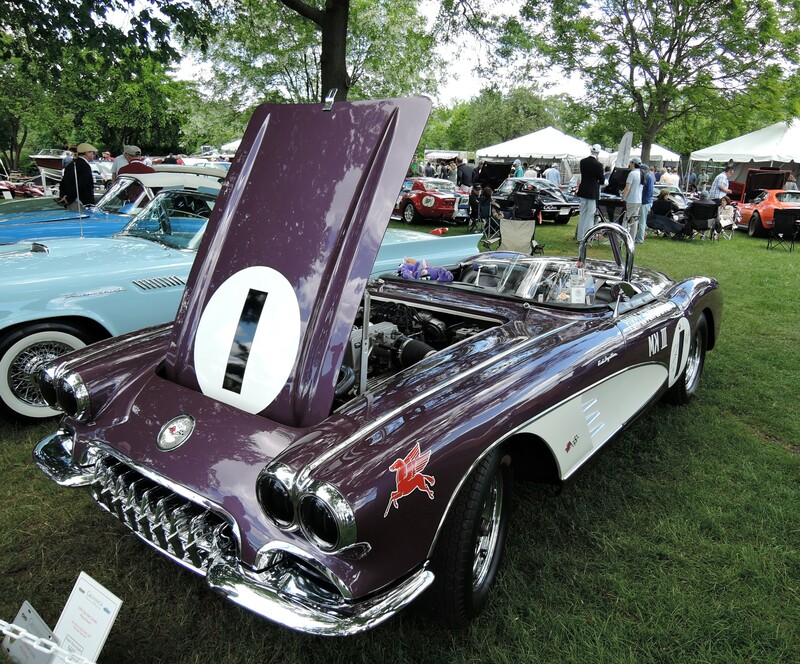 Saturday’s Concours featured a display of Custom Cars and Hot Rods. 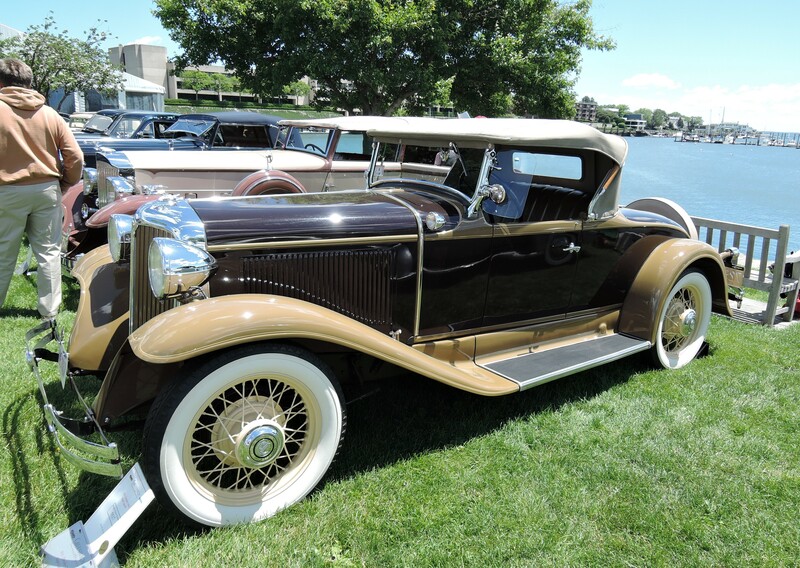 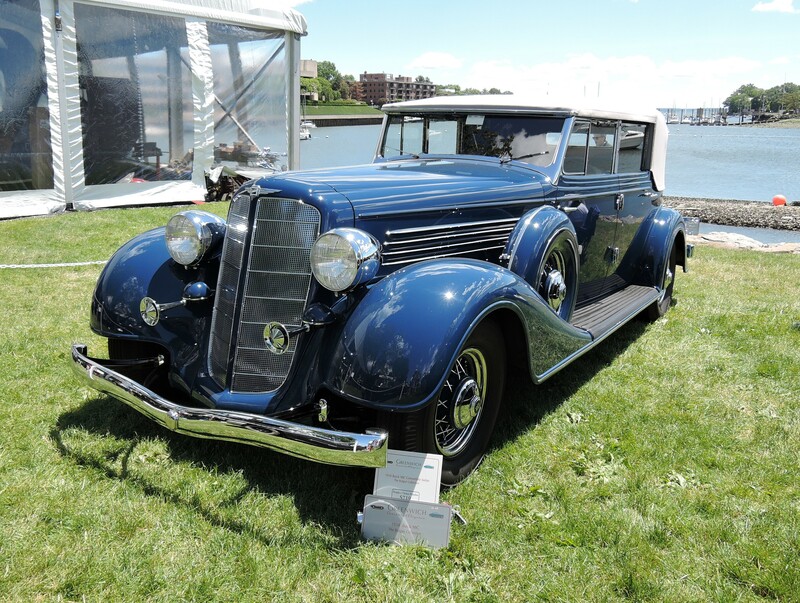 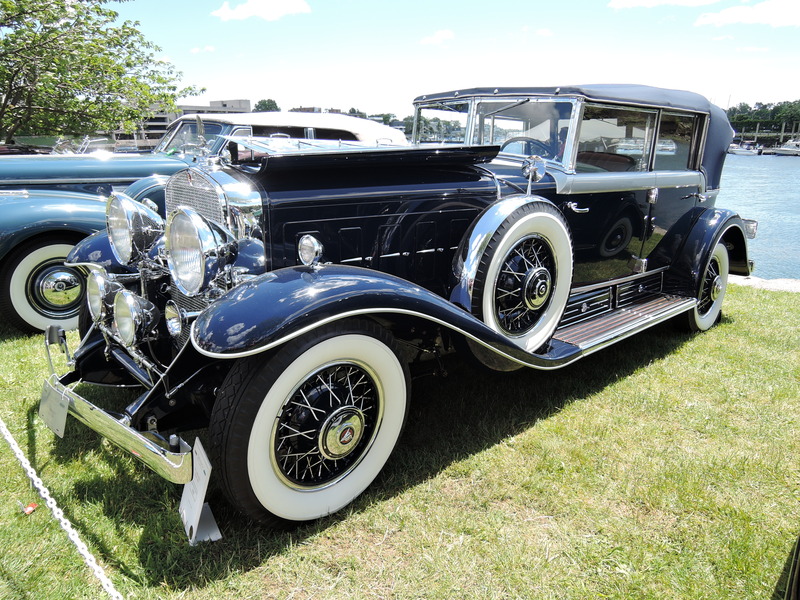 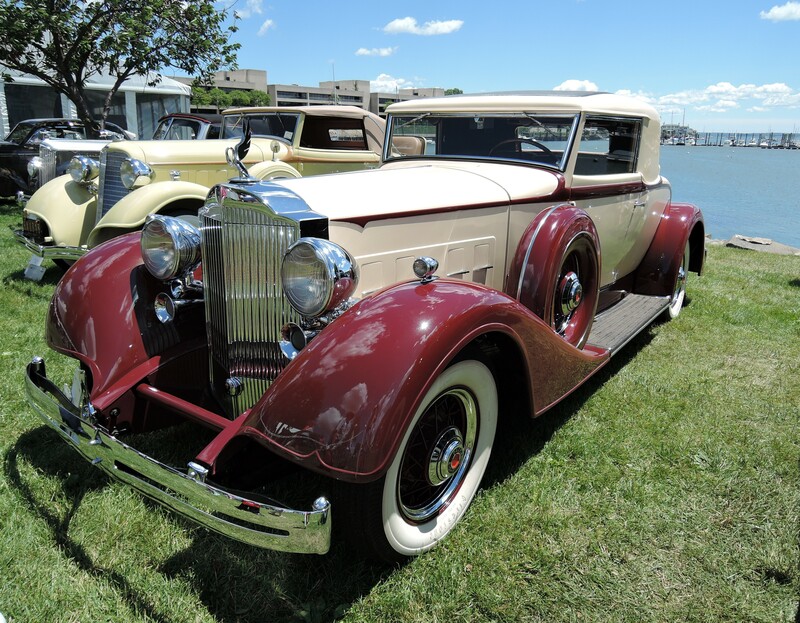 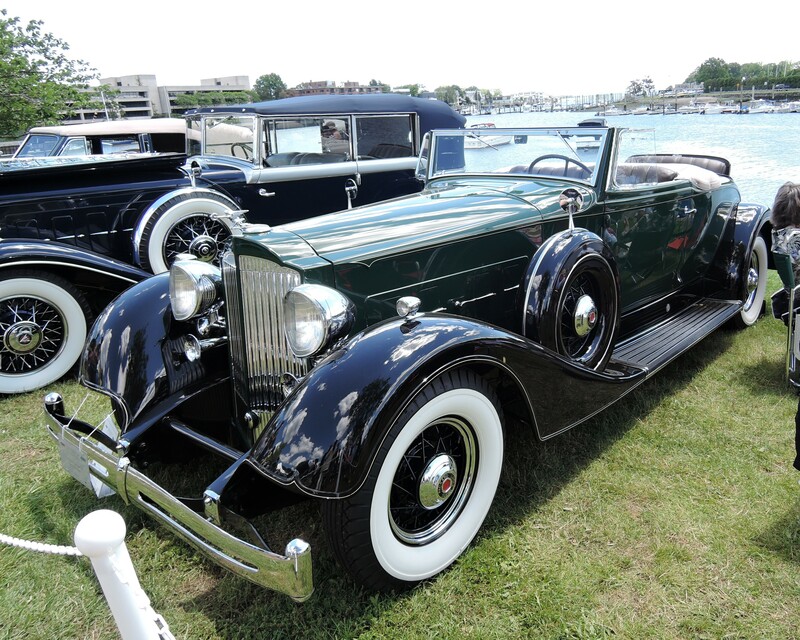 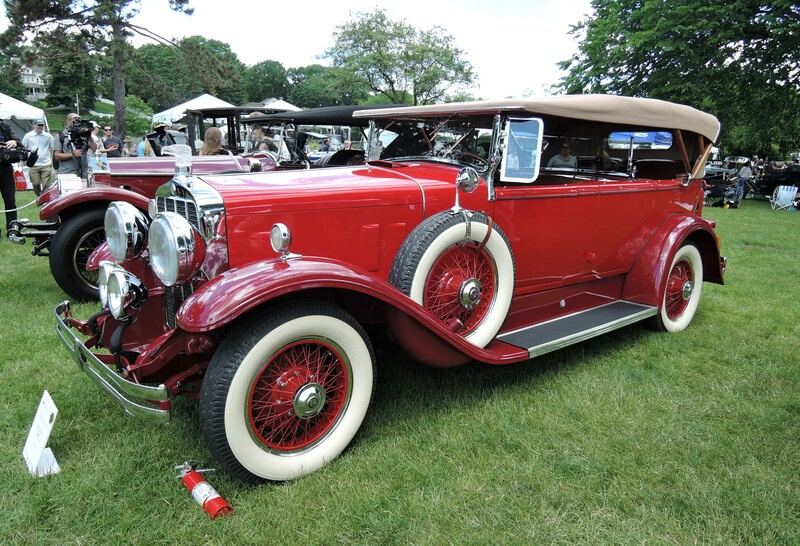 The People’s Choice Award American went to the stunning 1931 Cadillac 452A All-Weather Phaeton owned by Charles B. Gillett. 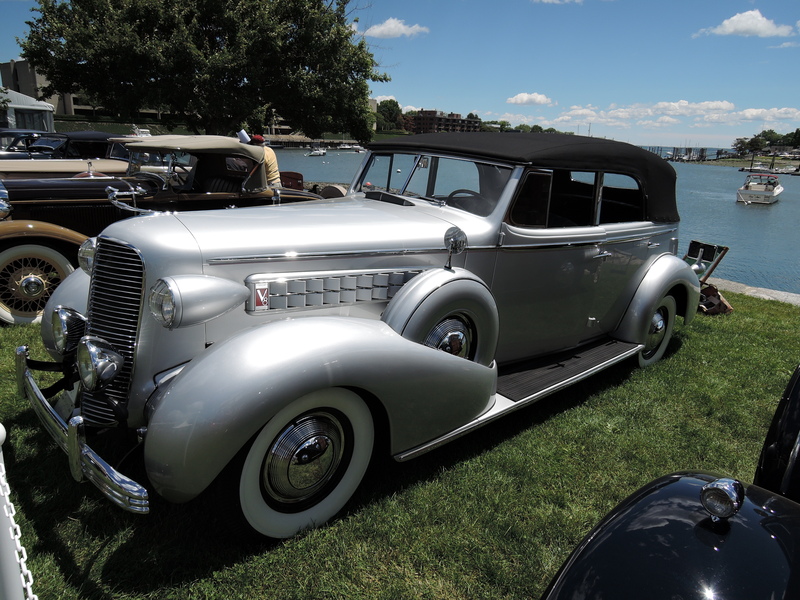 Best-in-Show on Saturday went to Al and Sandra San Clemente and their spectacular 1935 Packard Dietrich Dual-Cowl Phaeton. 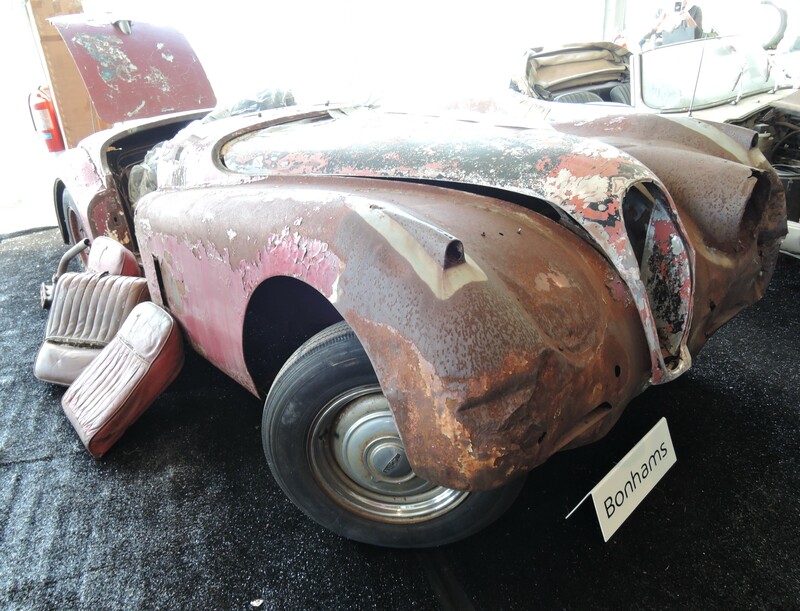 They have owned this car for 50 years and restoration had just been completed the night before (pictures of both cars below). 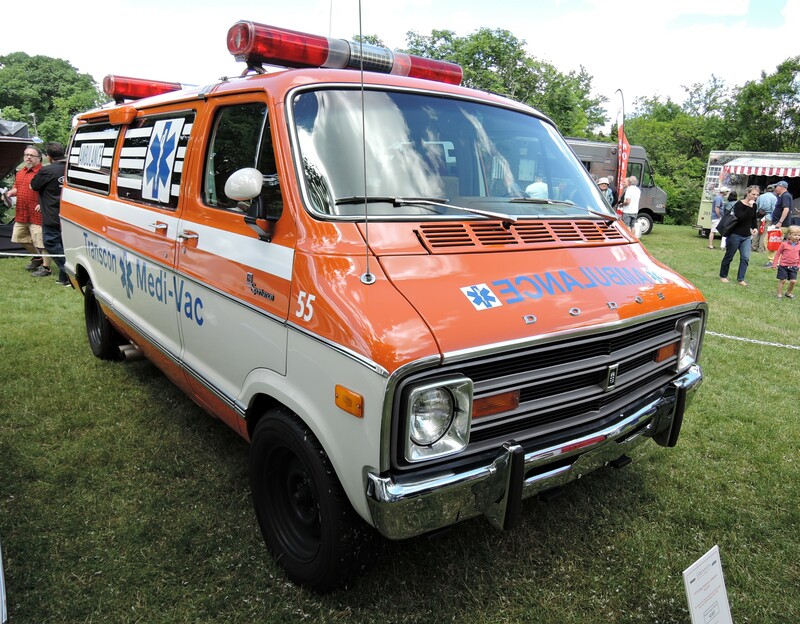 AmeriCares, an emergency response and global health organization, is the charitable beneficiary. 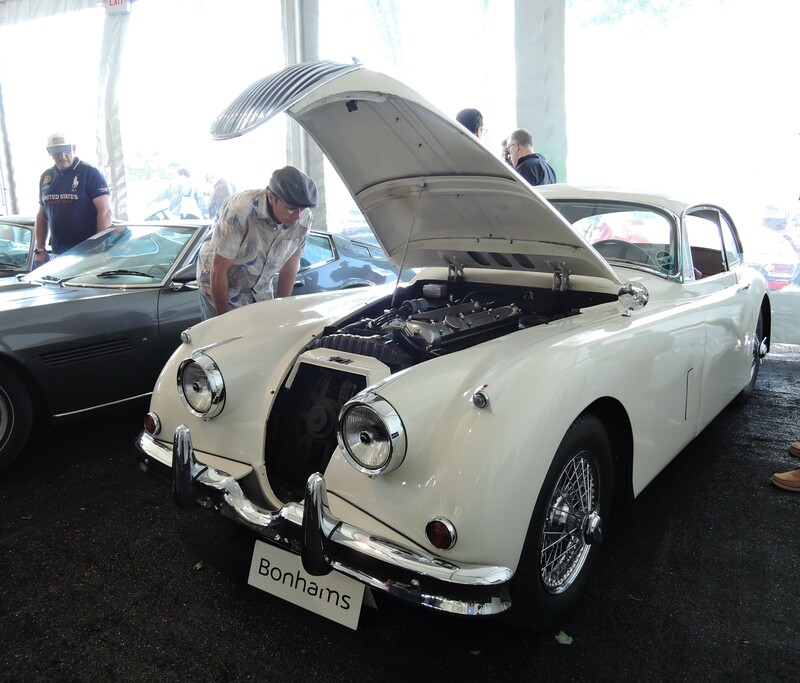 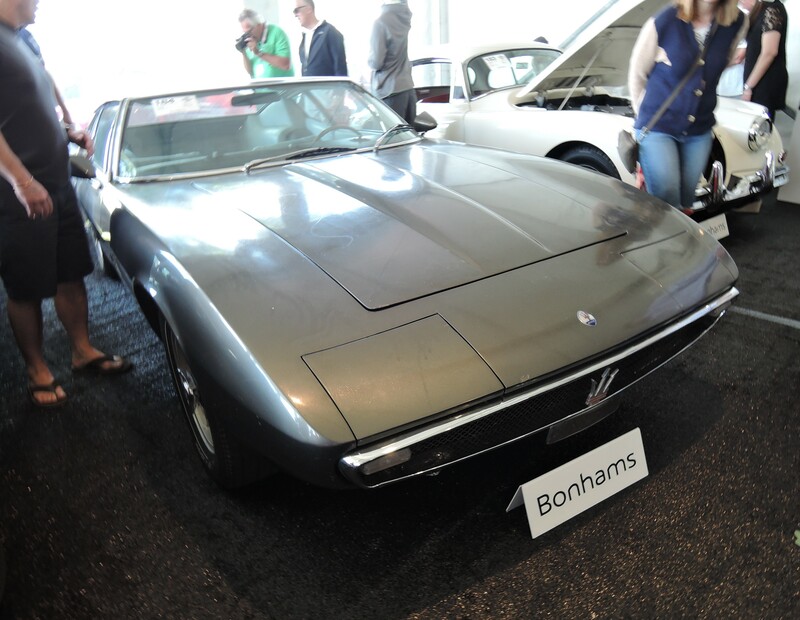 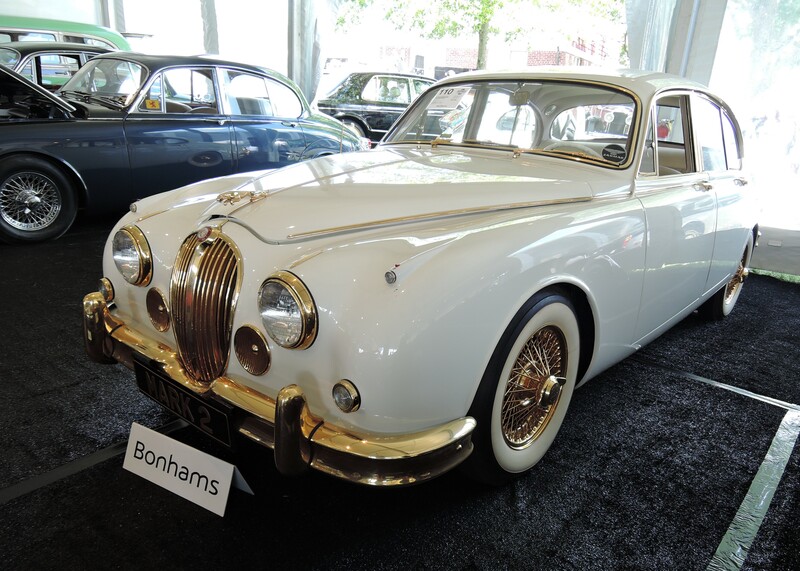 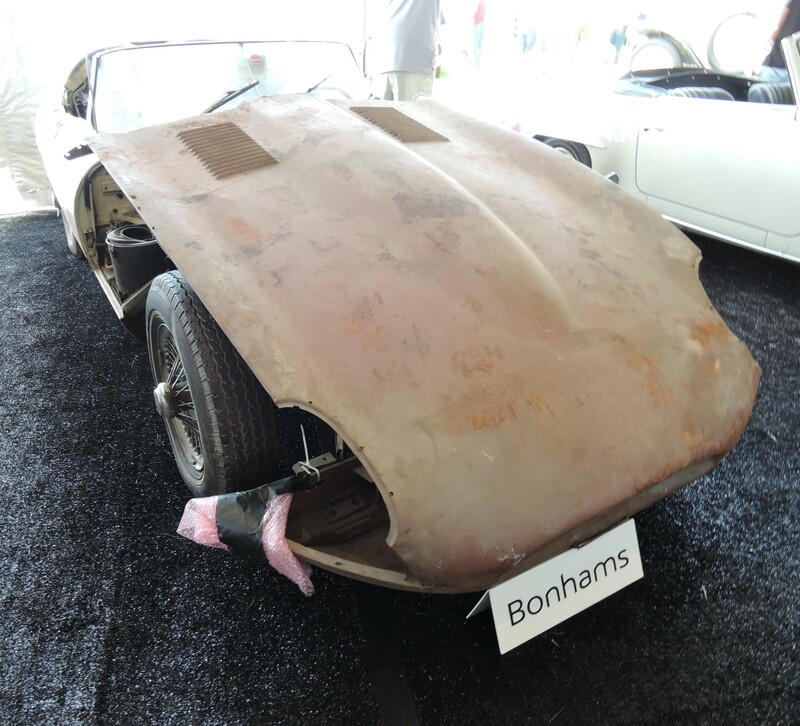 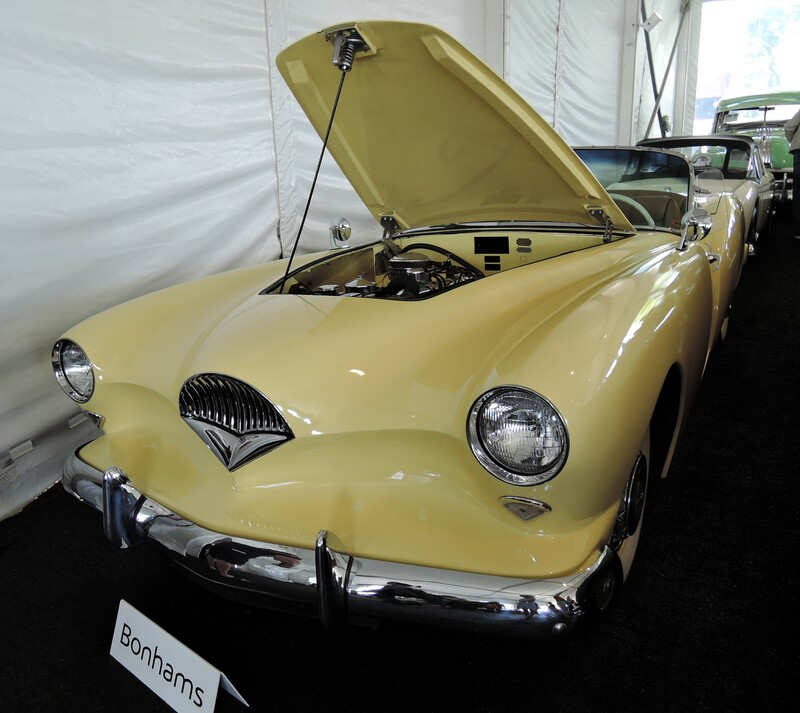 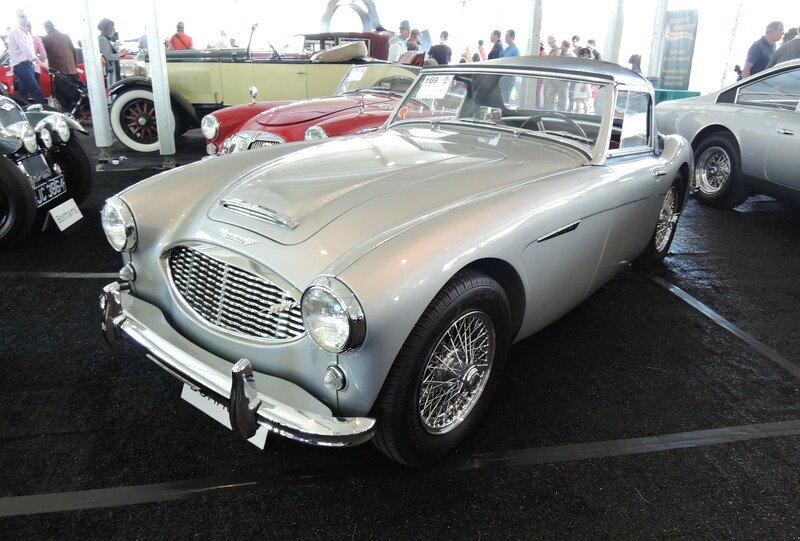 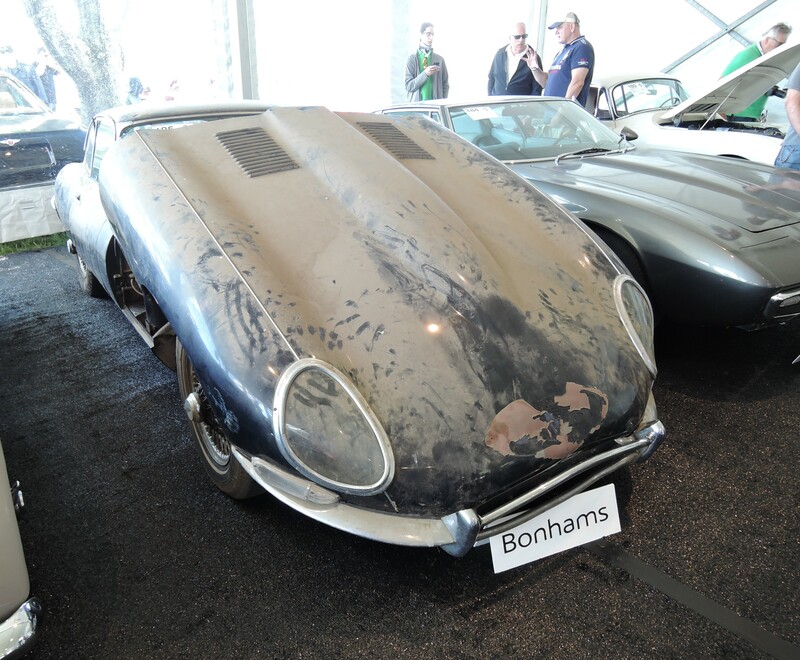 Bonham’s returned for its tenth annual motorcars auction with a successful 92% sell-through rate. 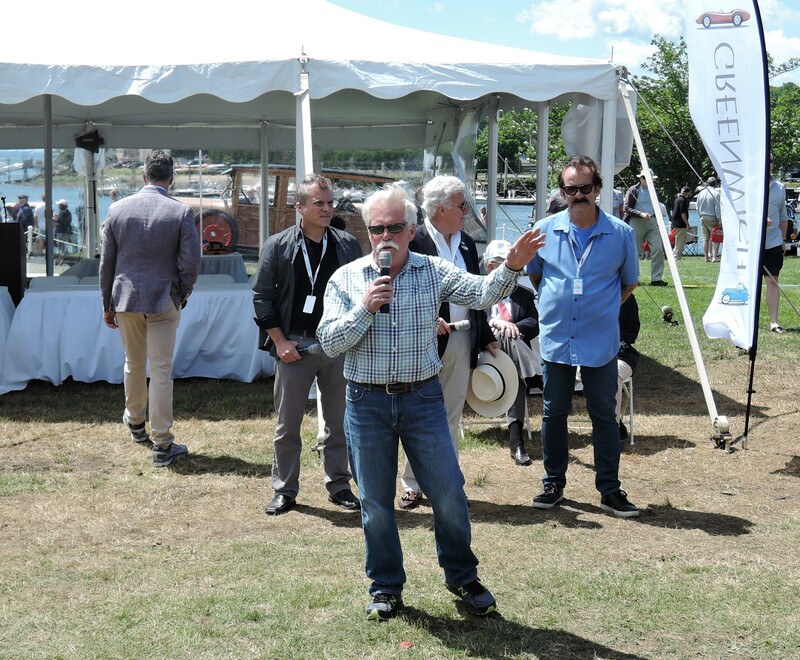 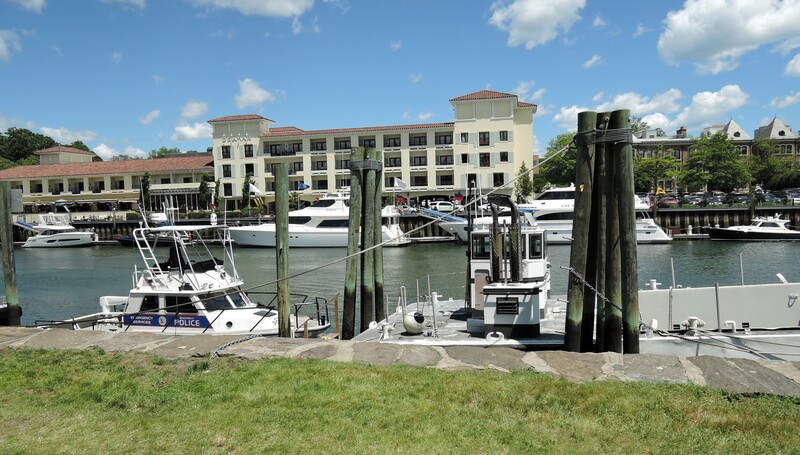 Saturday night the DuPont Registry hosted a delicious dinner and a silent auction at the Delamar Greenwich Harbor Hotel, complete with yachts moored in the harbor for background. 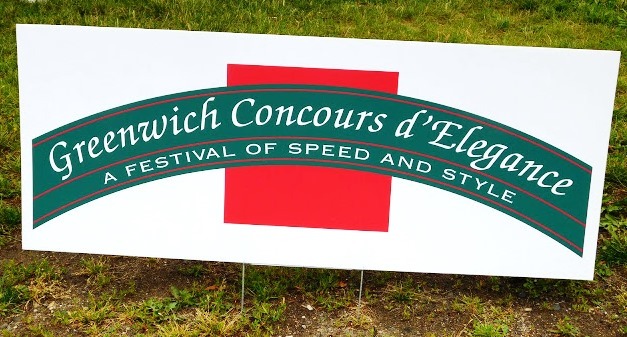 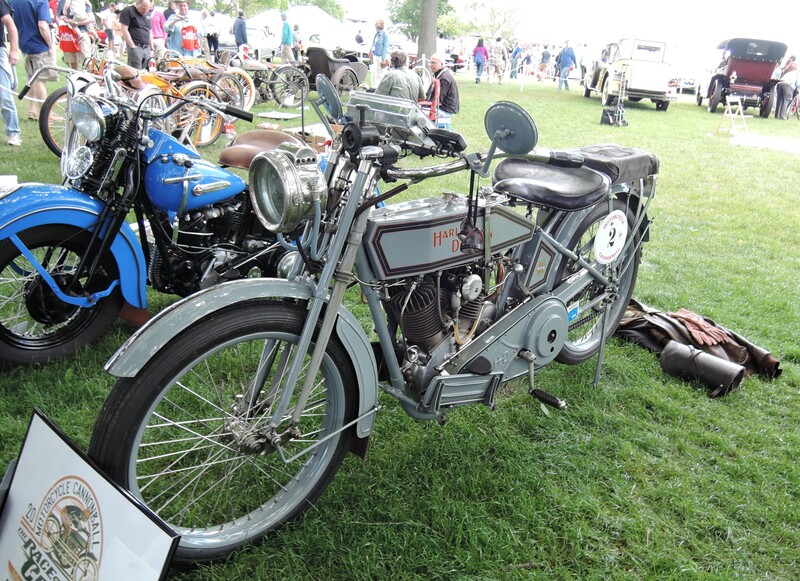 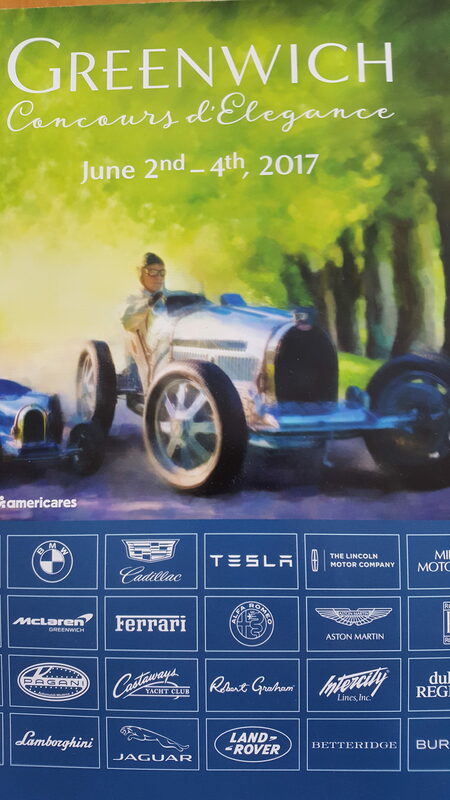 Overall, this is a wonderful Concours, and definitely worth attending both days. 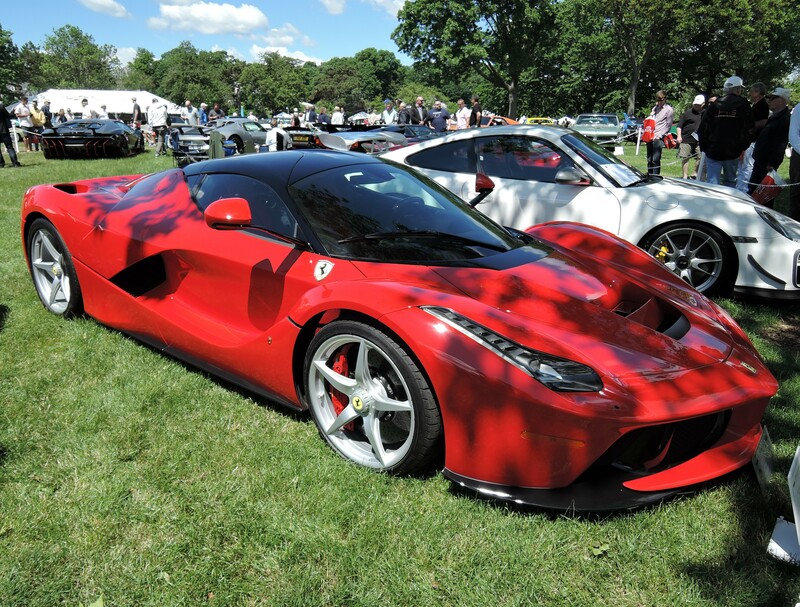 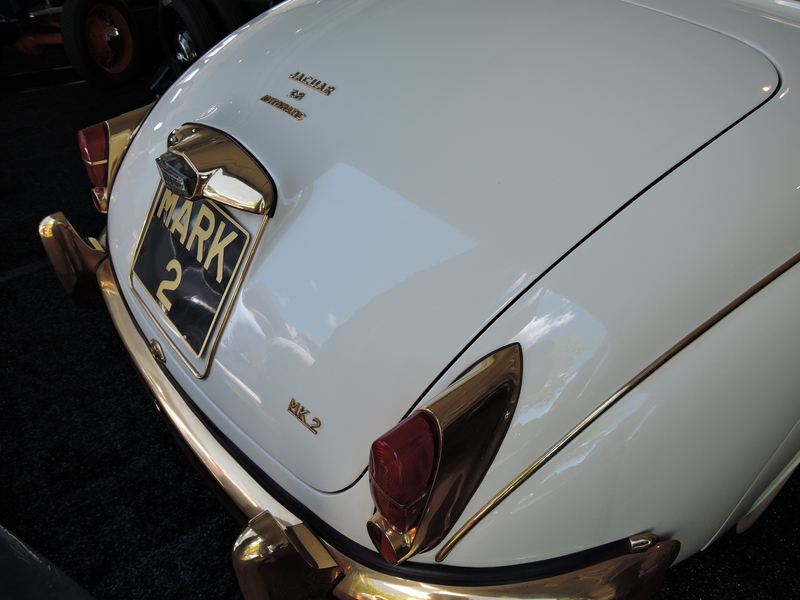 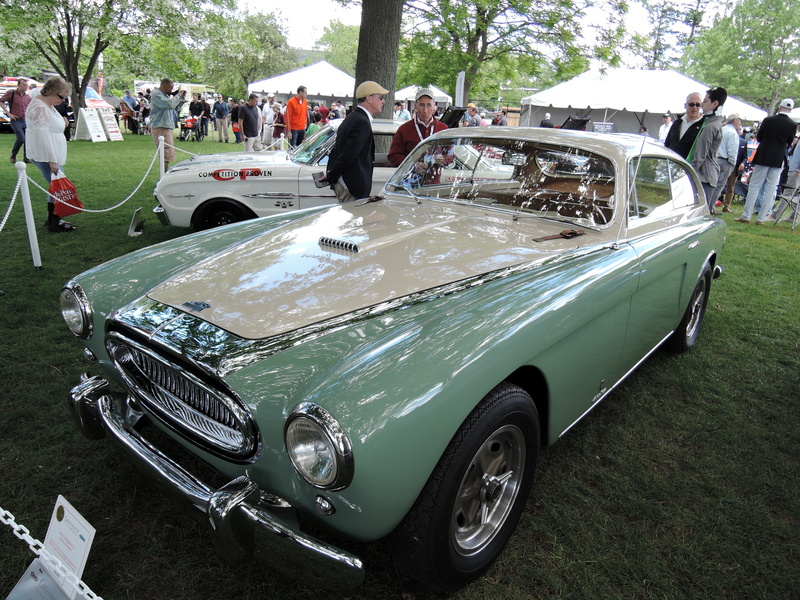 Kudos to Event Chair Mary Wennerstrom and her Greenwich Concours team. 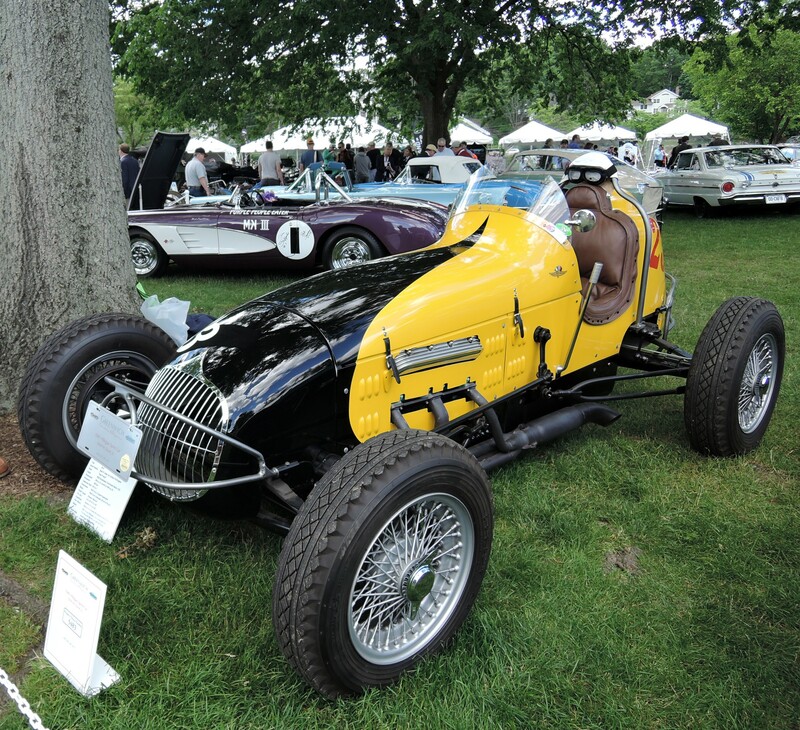 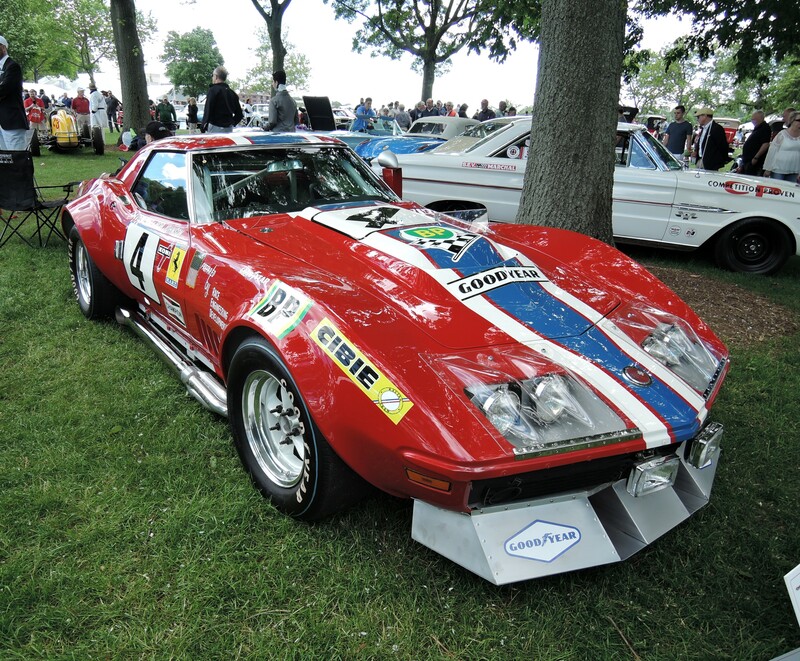 The 2018 Greenwich Concours d’Elegance will be June 1-3 and feature a special display of Cunningham production cars and team race cars. 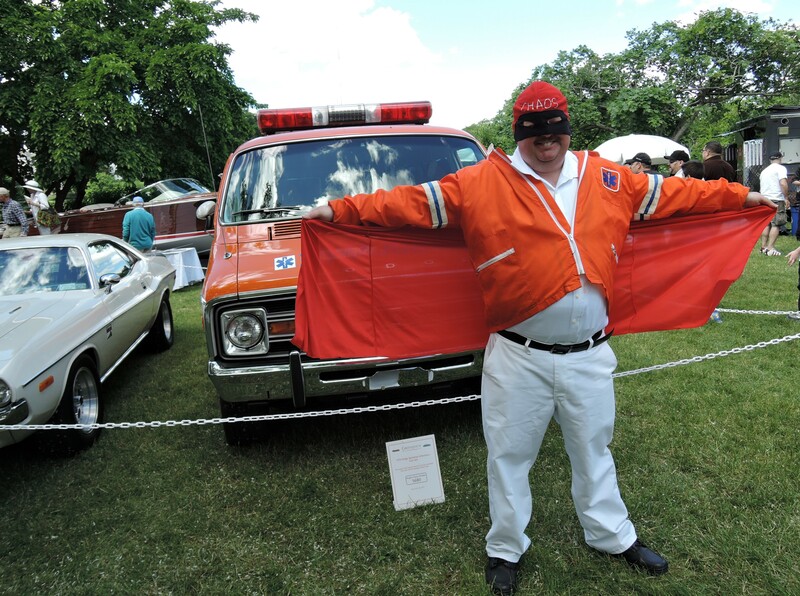 with appropriately attired ‘paramedic’. 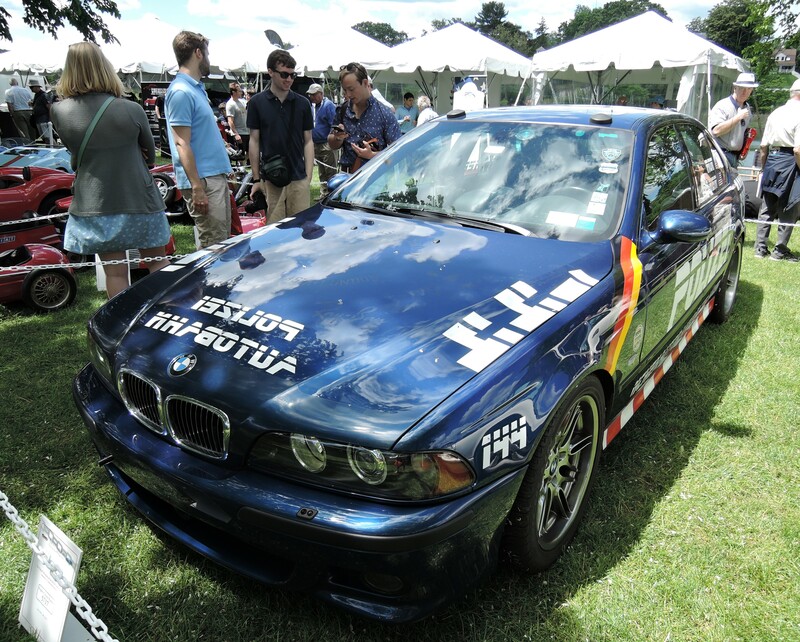 Is that Dom Deloise? 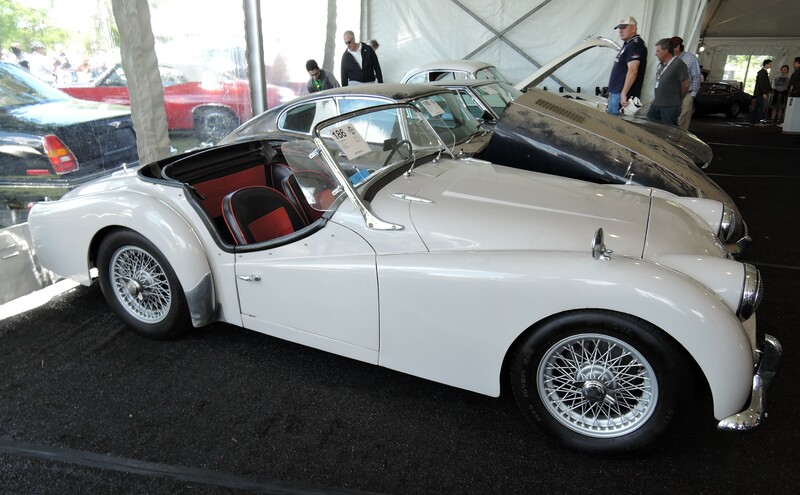 1953 Jaguar XK120 Roadster; est. 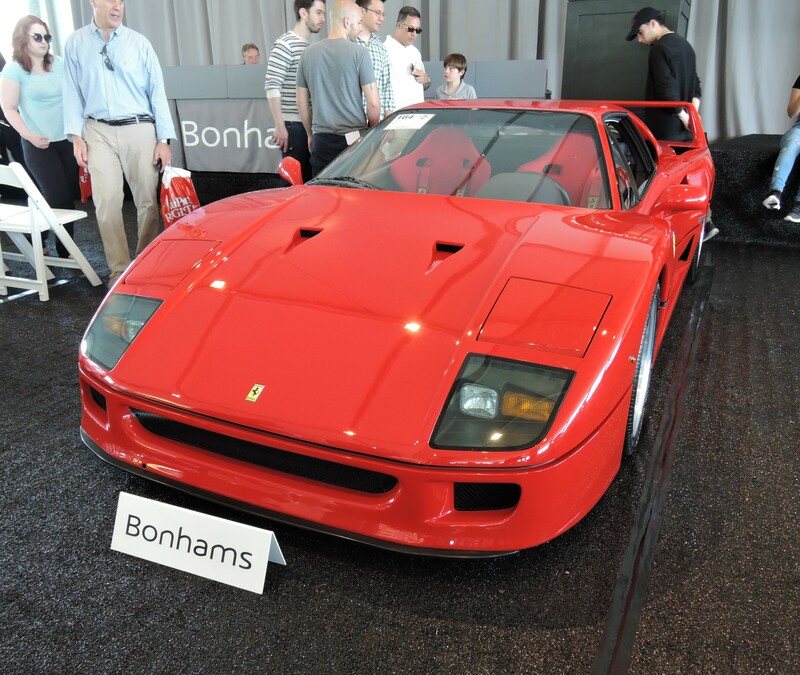 price $10-15K w/o reserve, sold for $14,300.